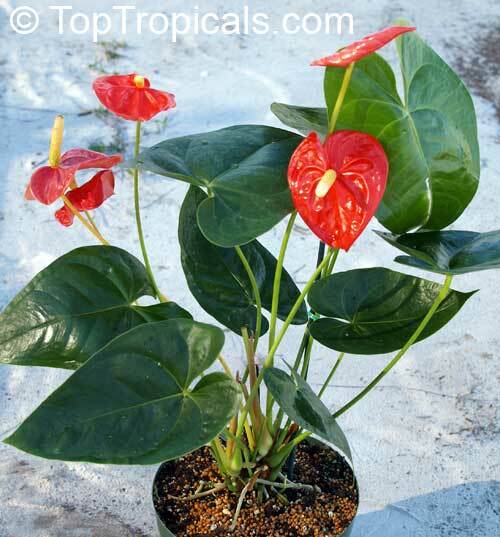 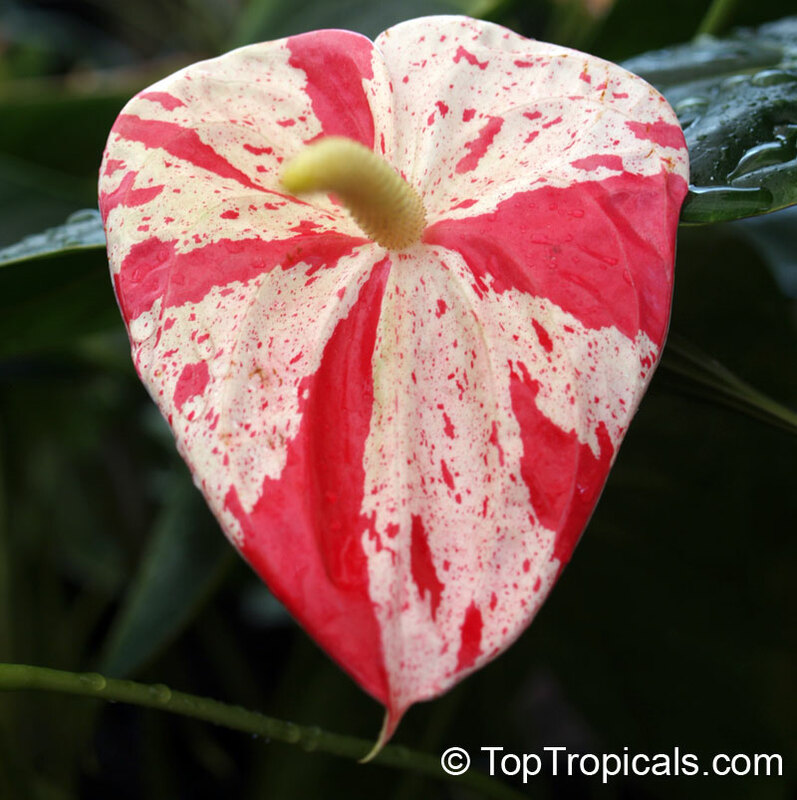 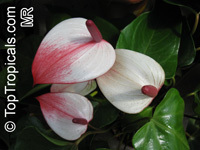 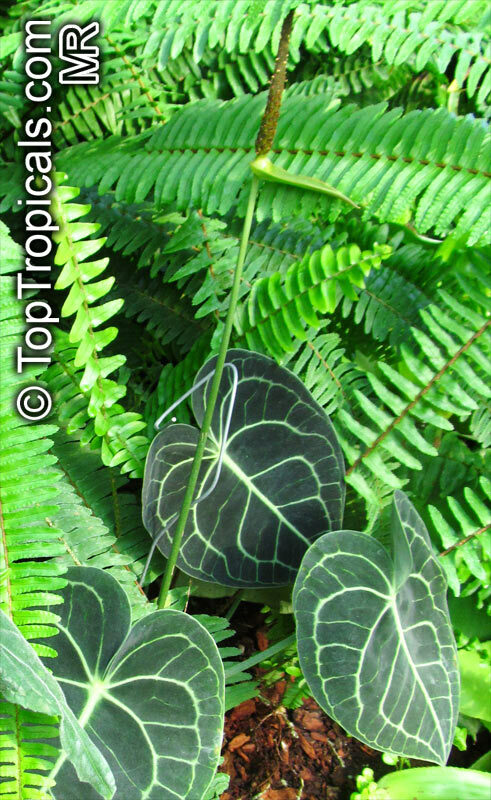 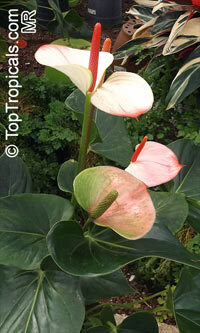 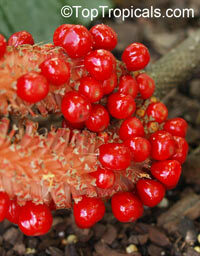 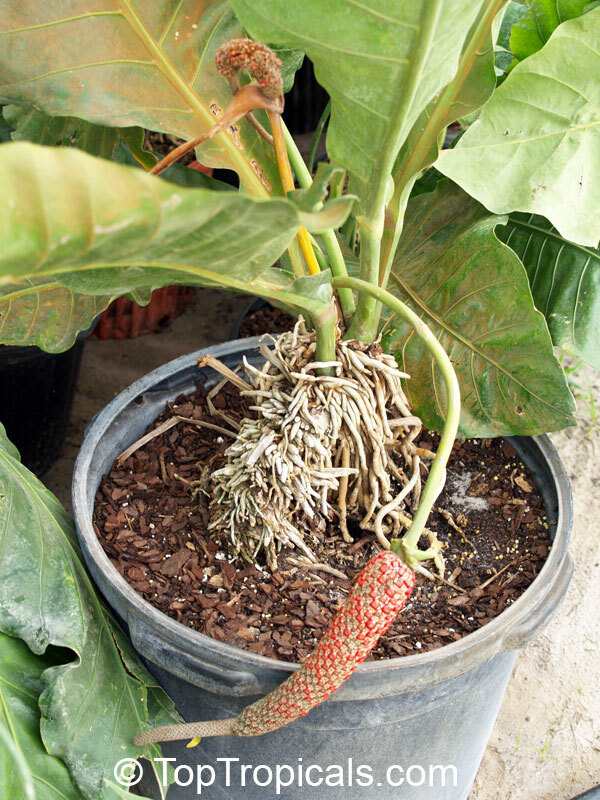 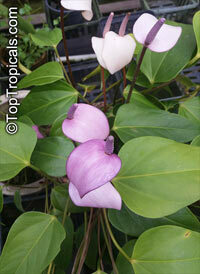 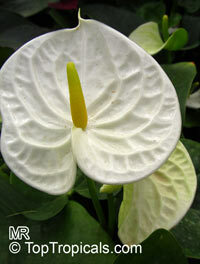 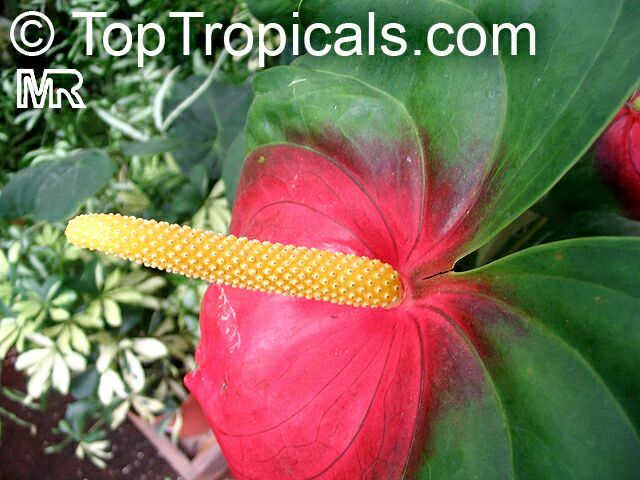 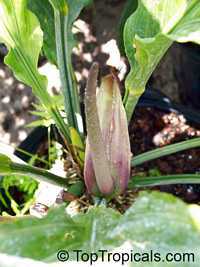 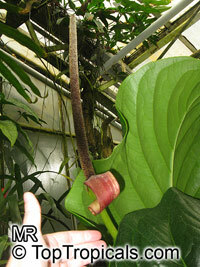 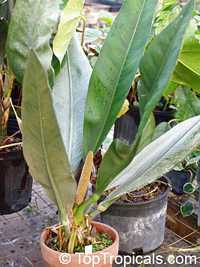 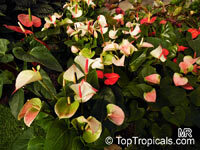 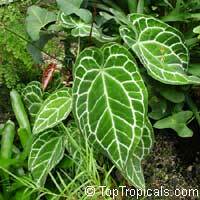 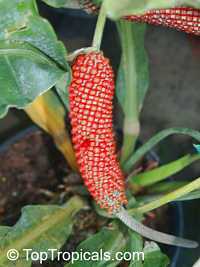 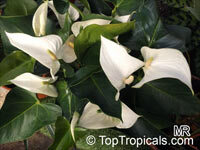 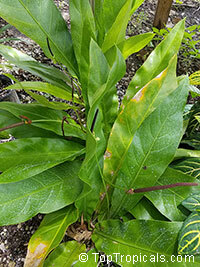 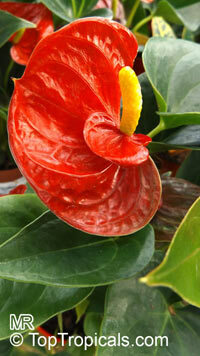 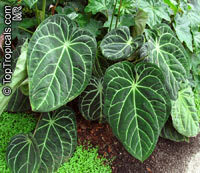 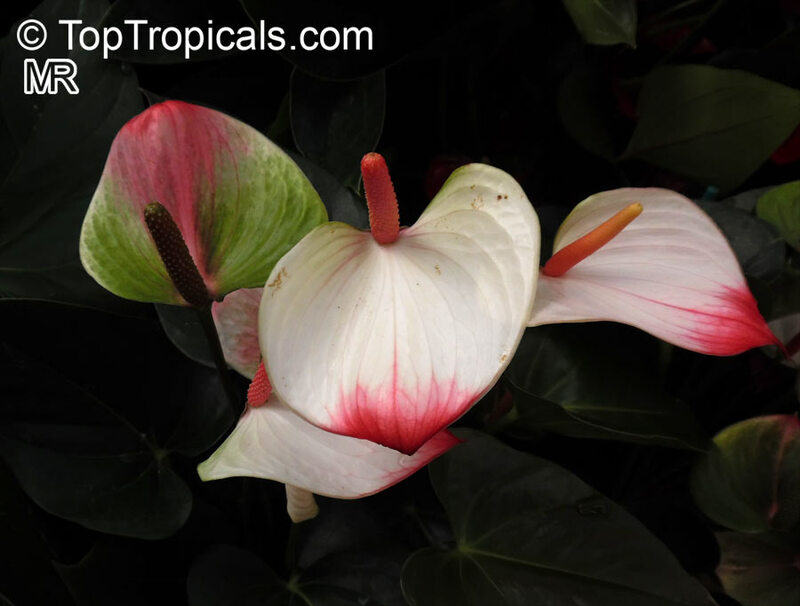 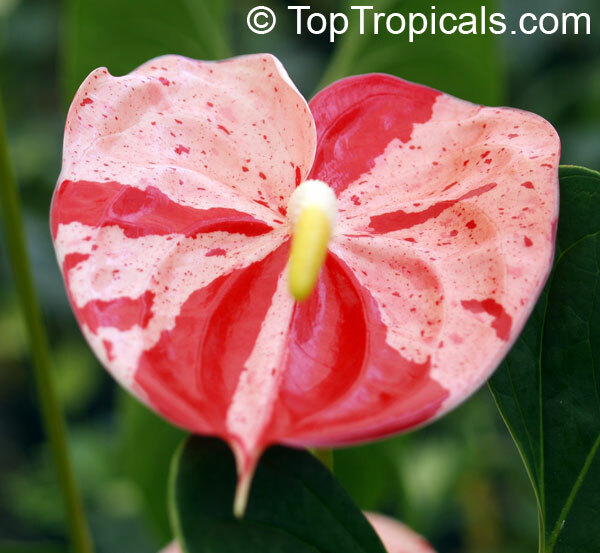 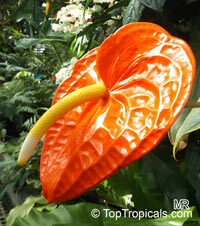 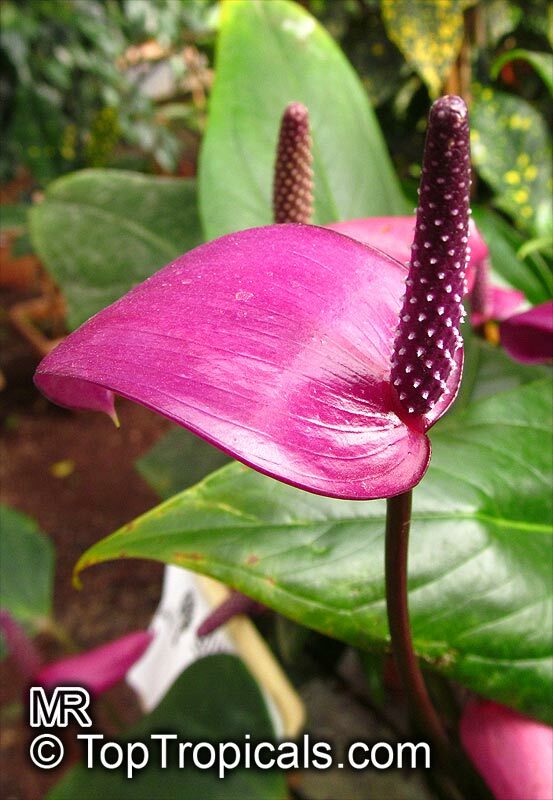 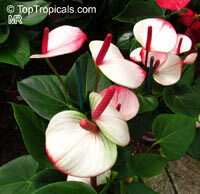 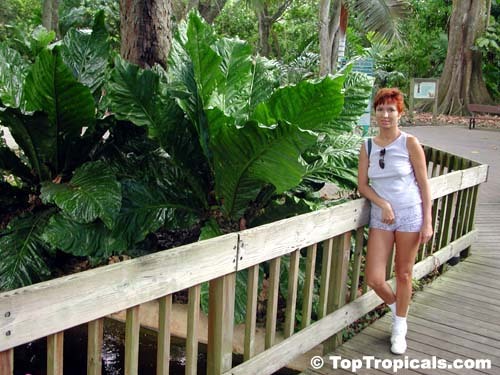 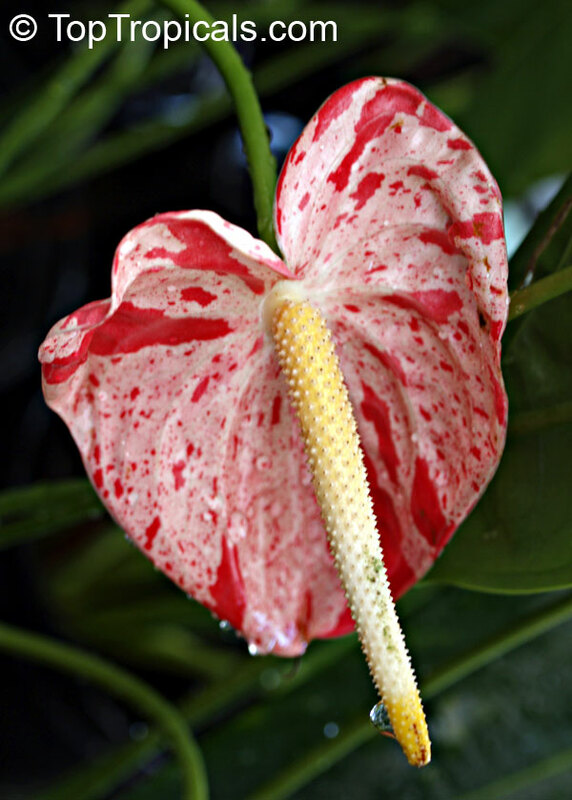 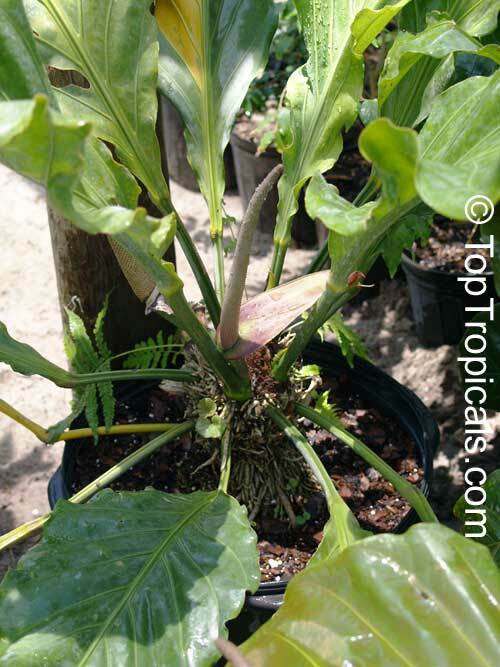 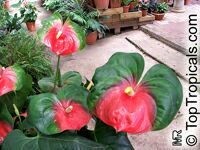 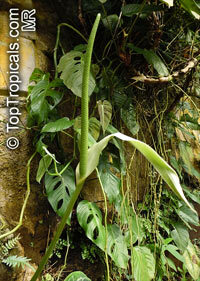 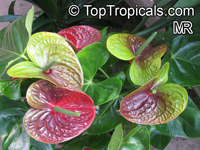 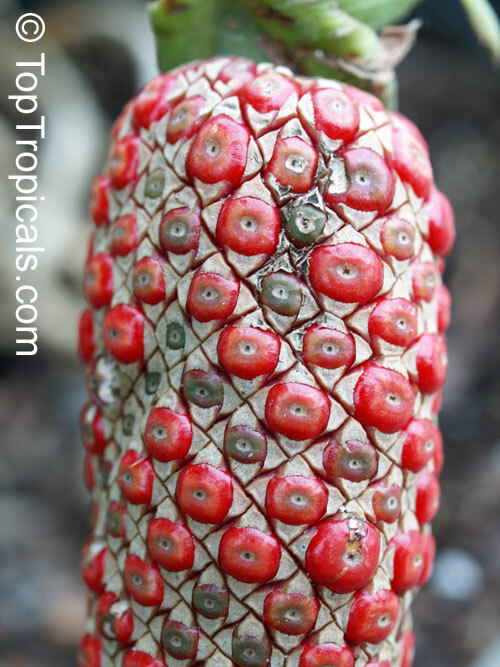 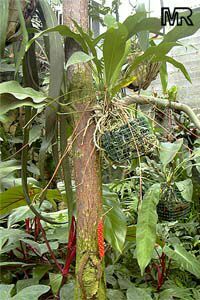 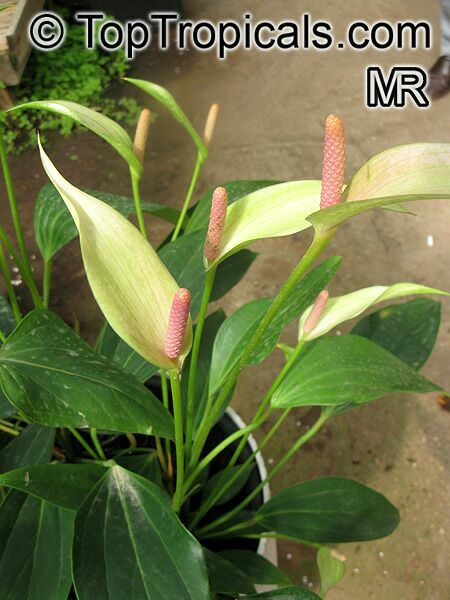 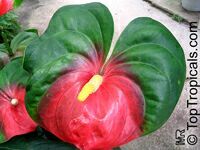 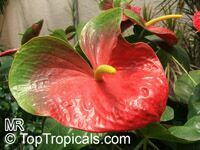 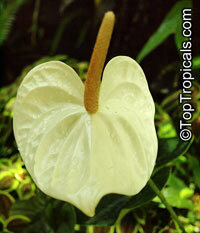 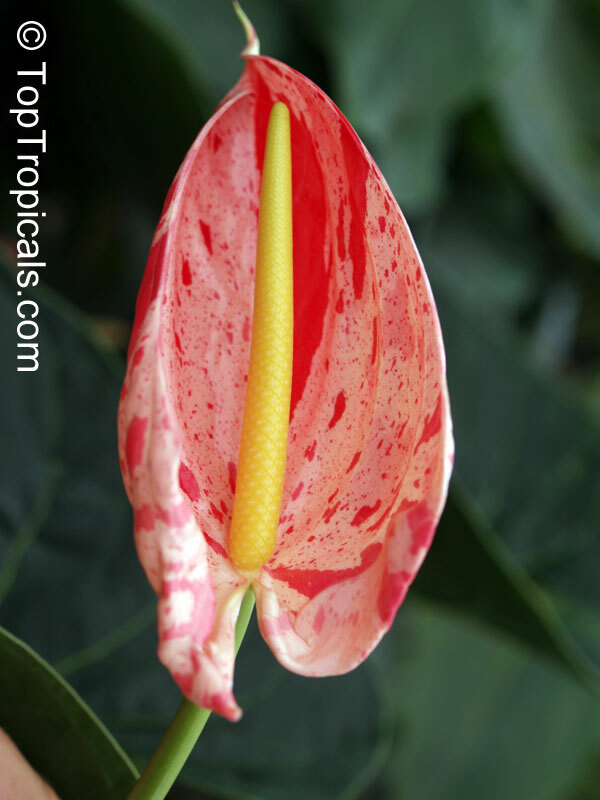 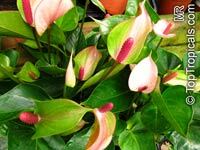 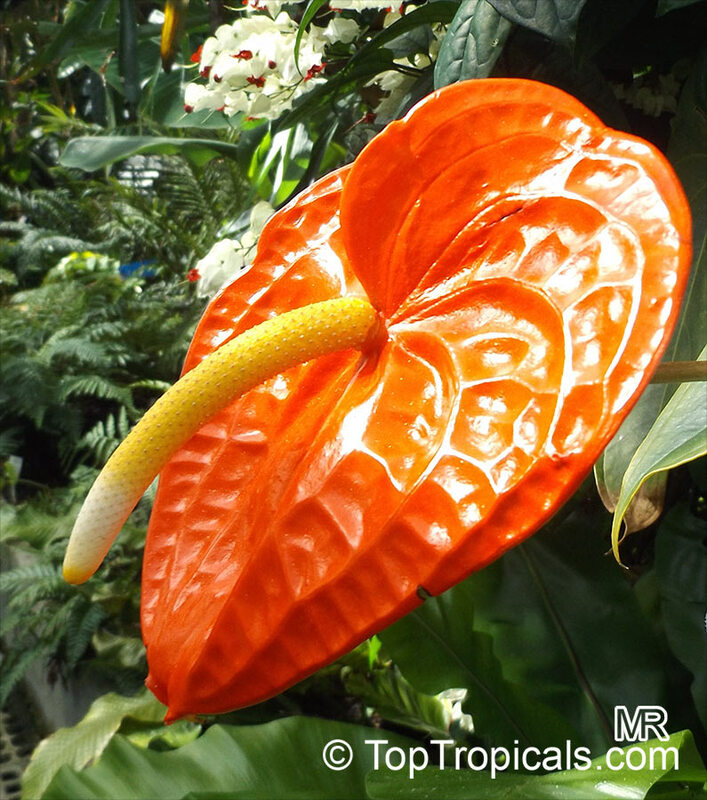 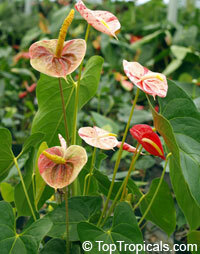 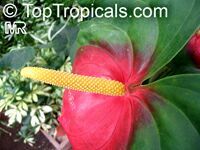 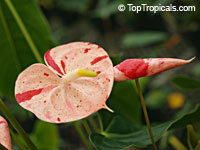 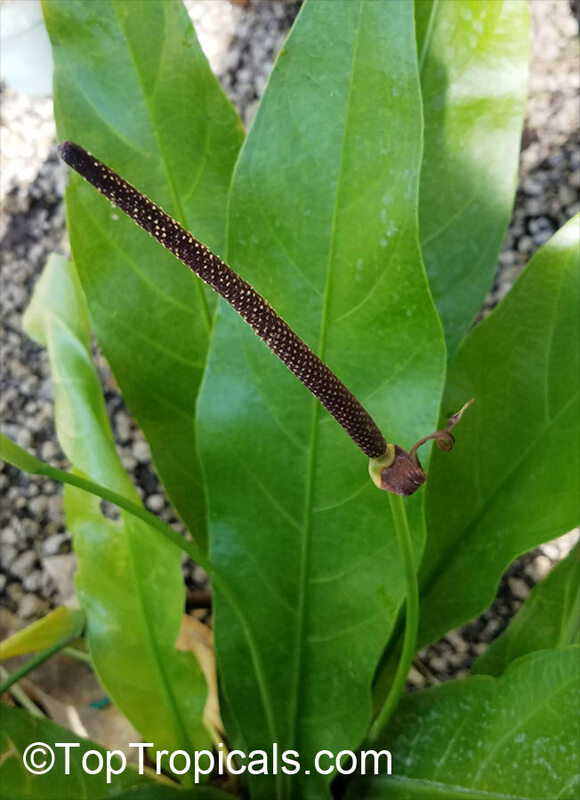 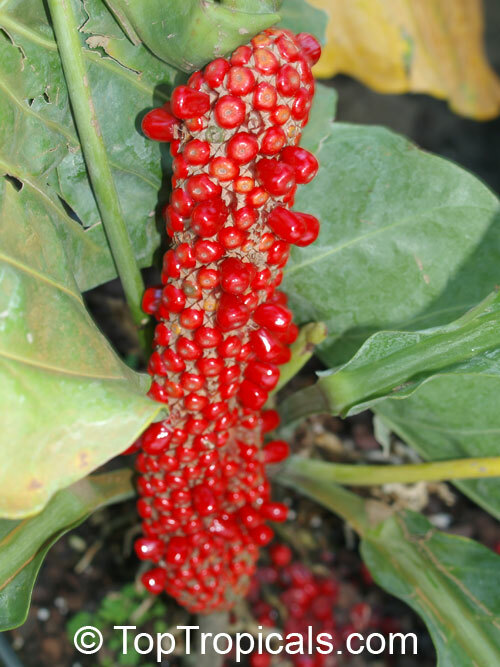 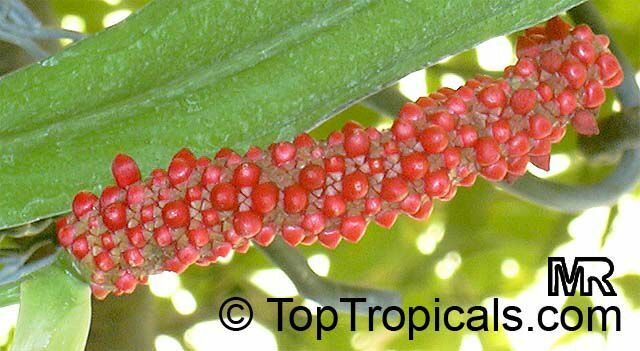 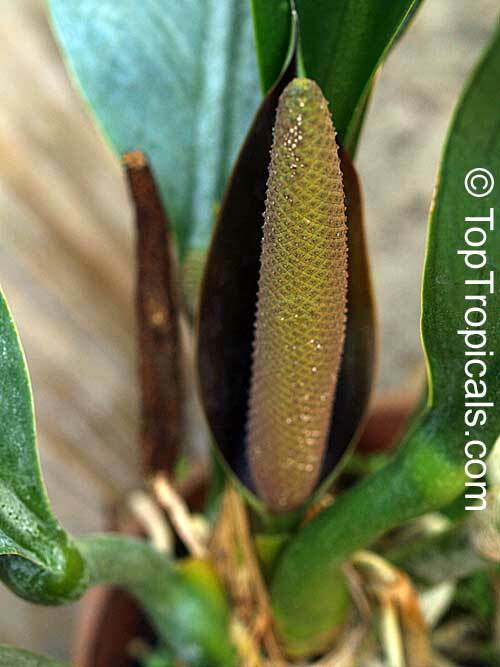 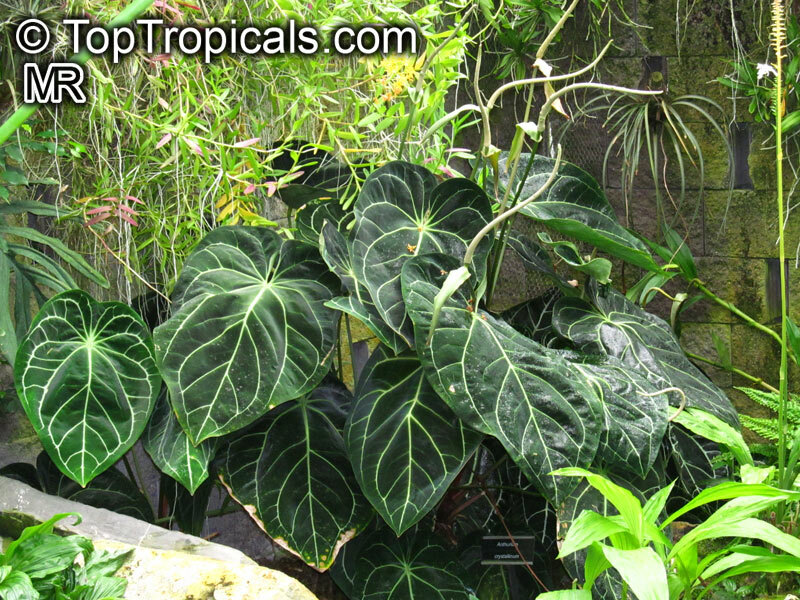 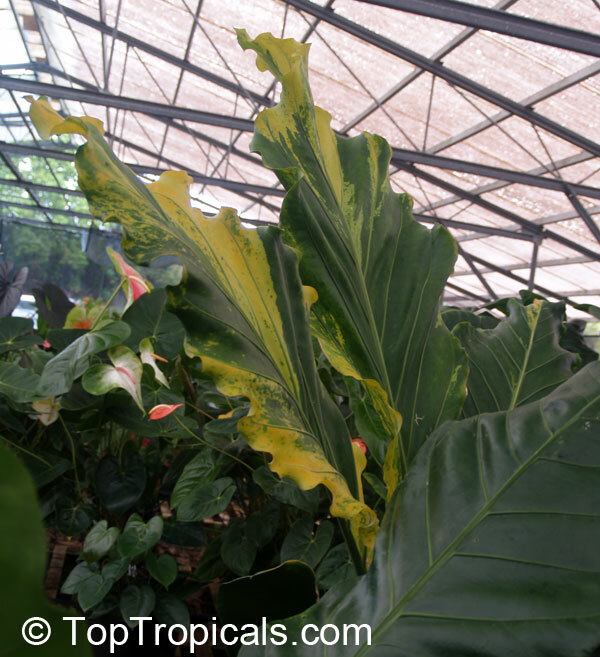 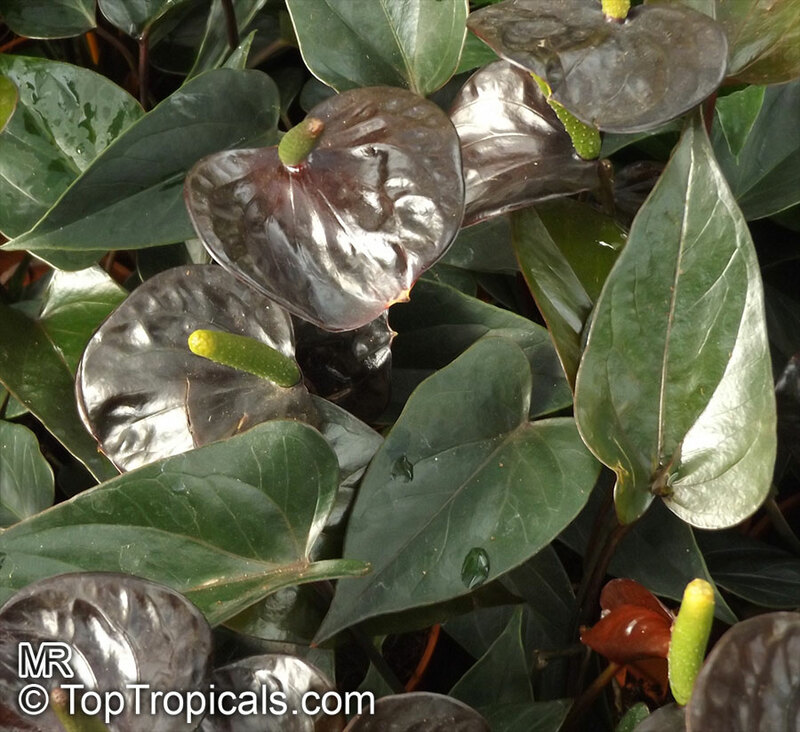 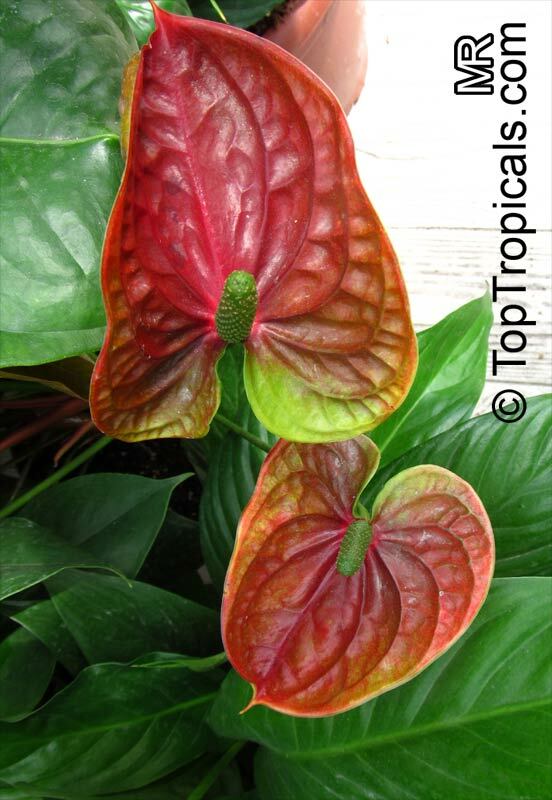 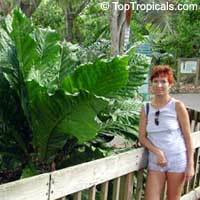 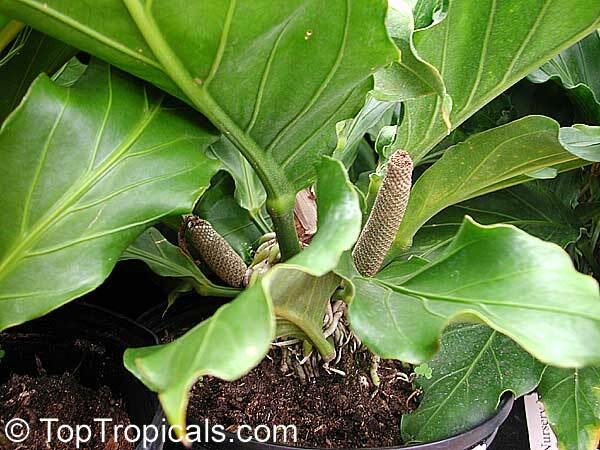 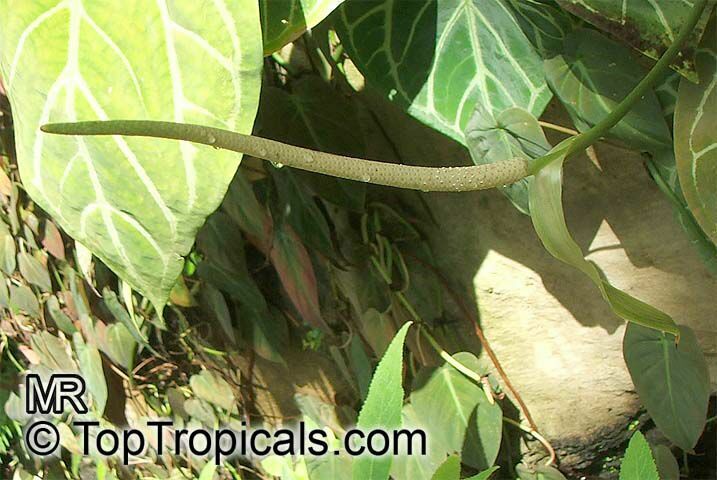 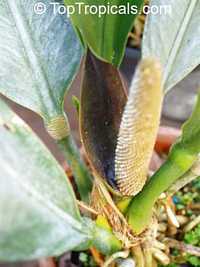 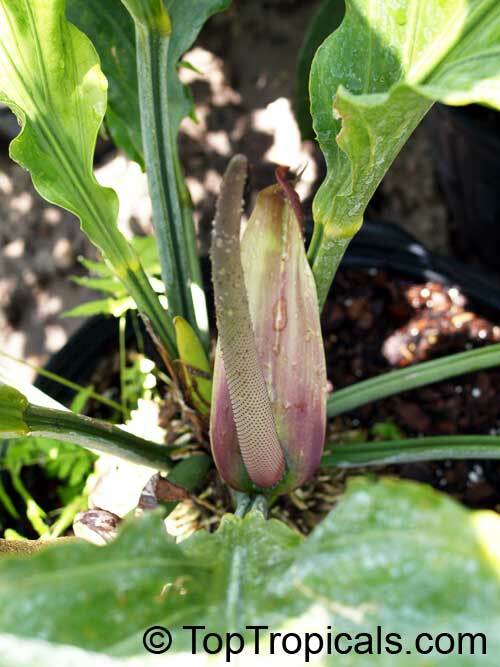 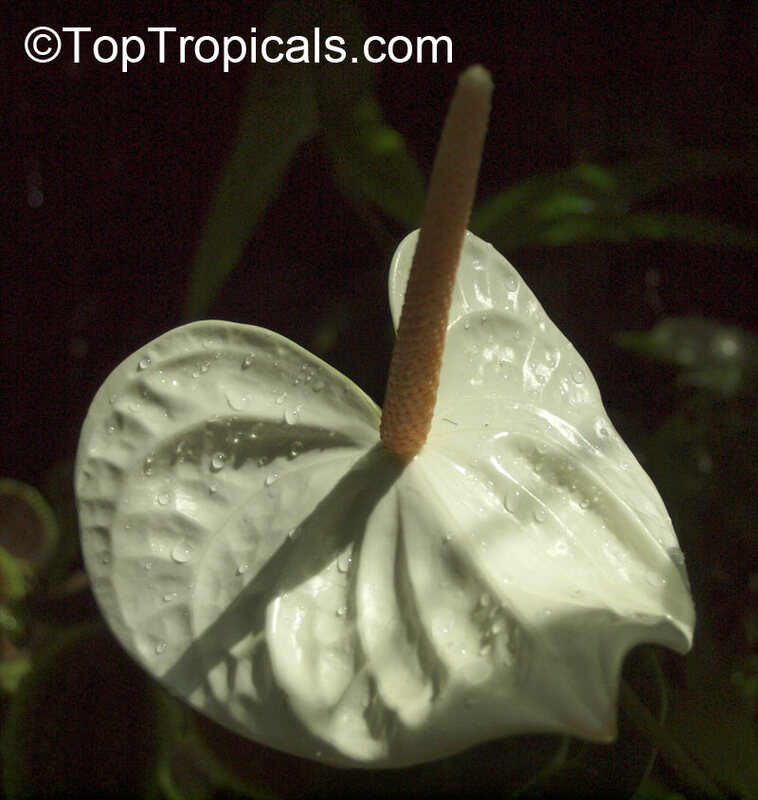 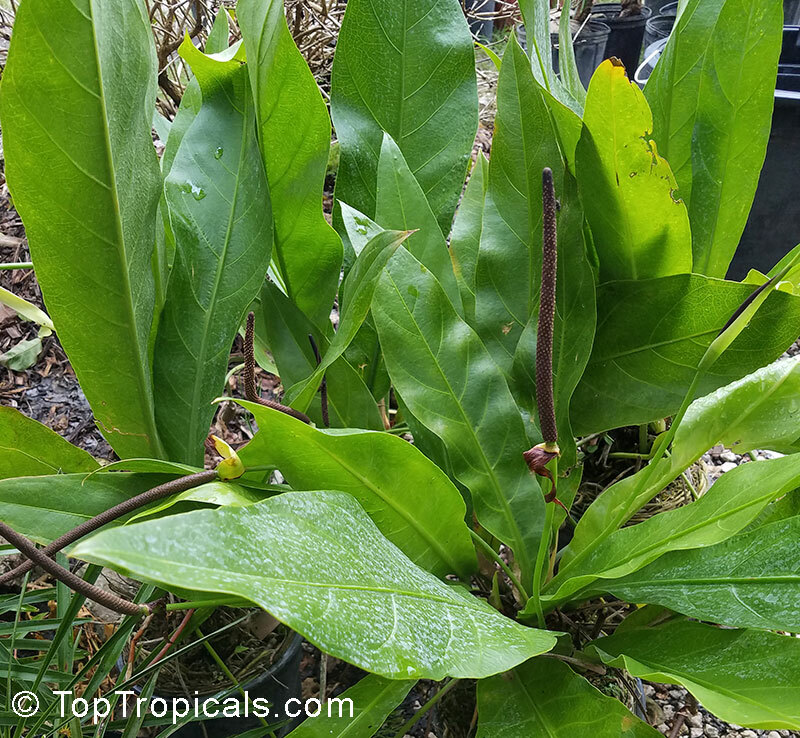 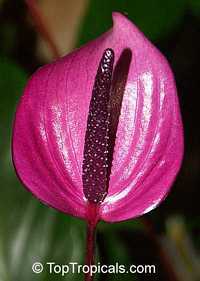 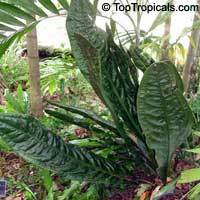 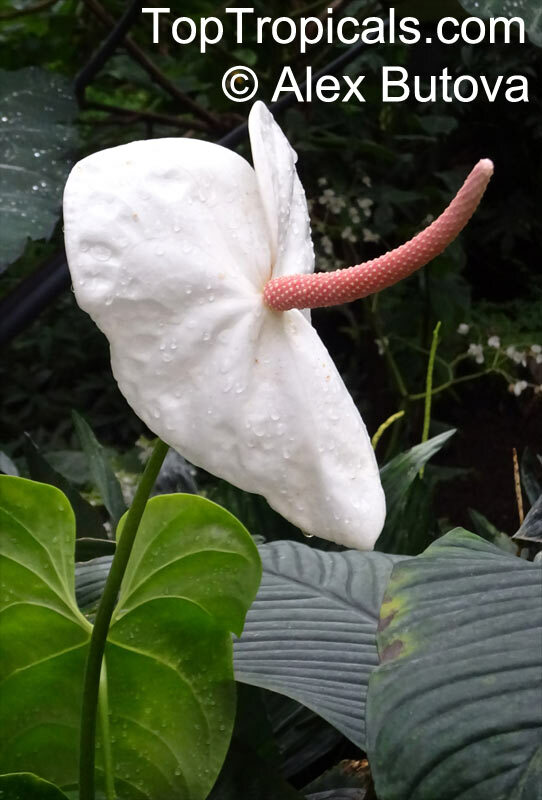 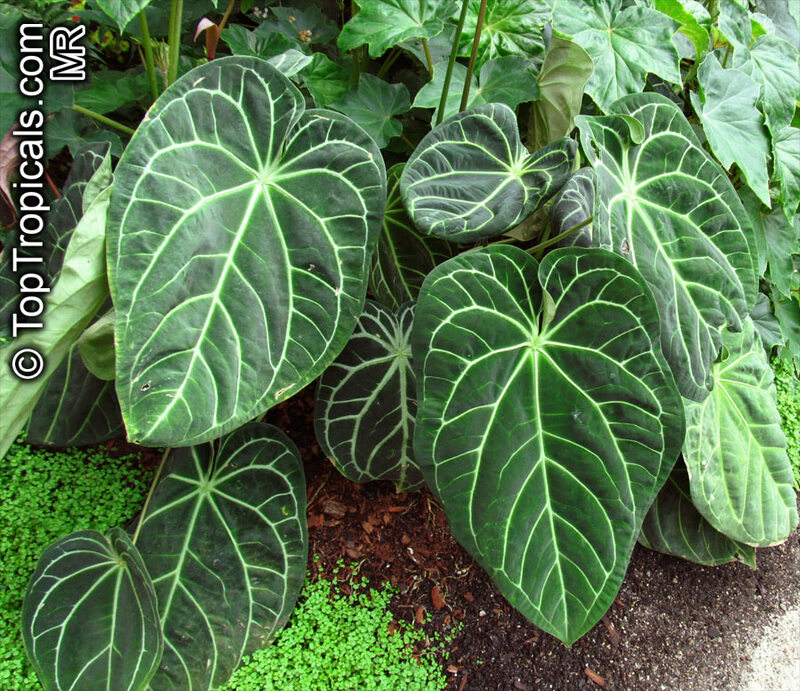 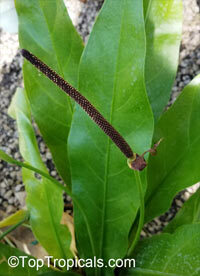 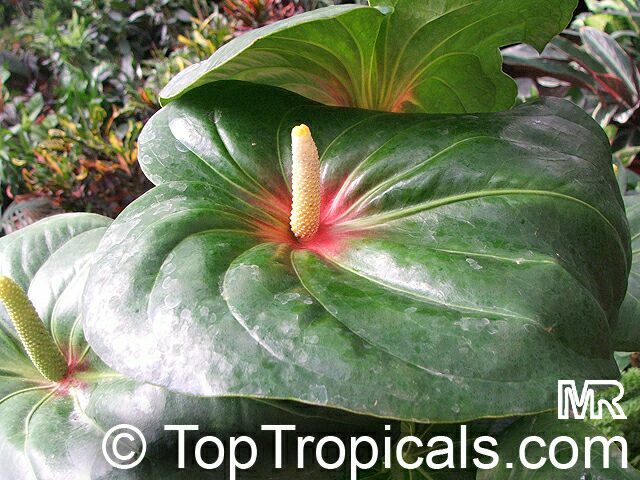 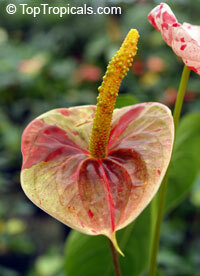 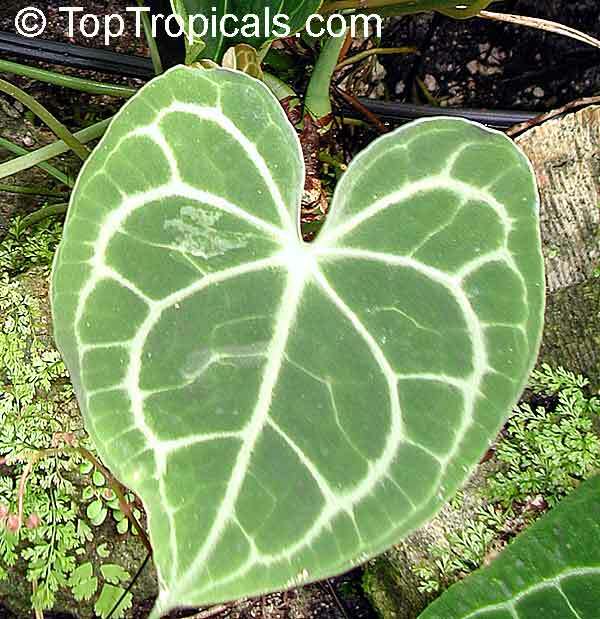 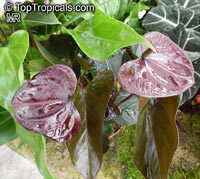 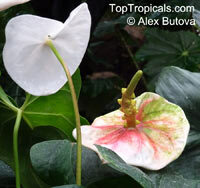 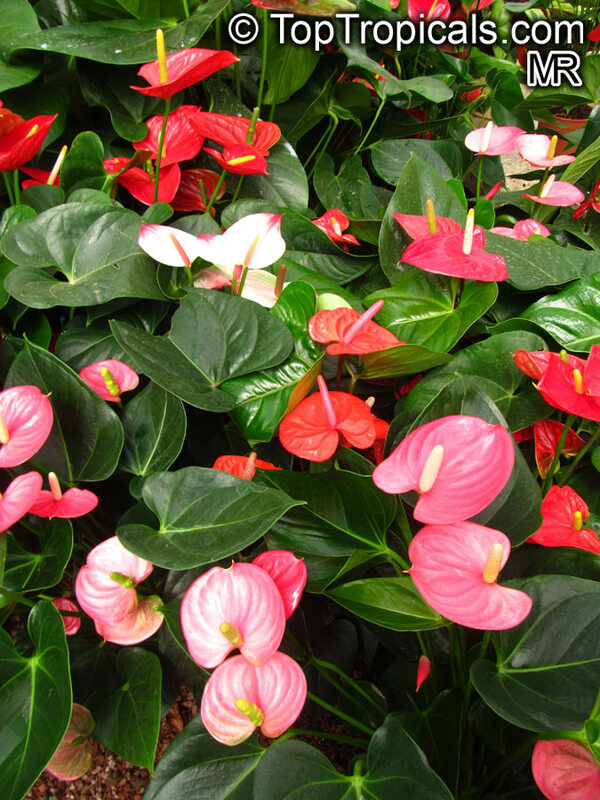 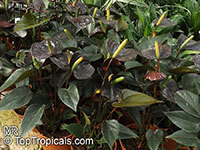 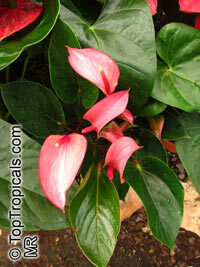 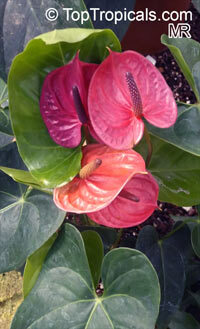 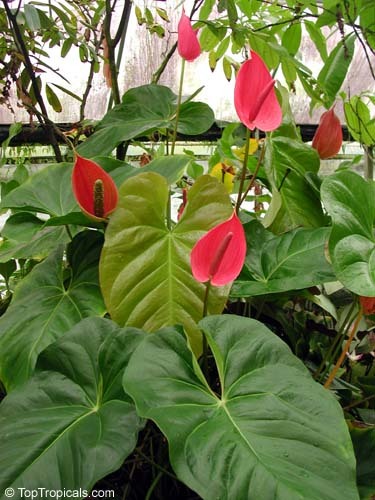 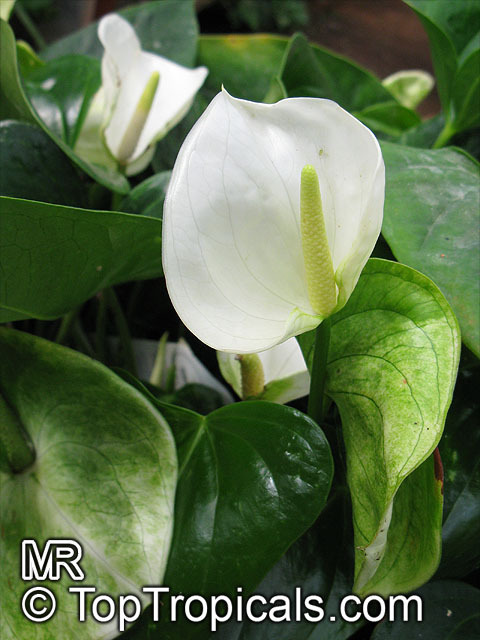 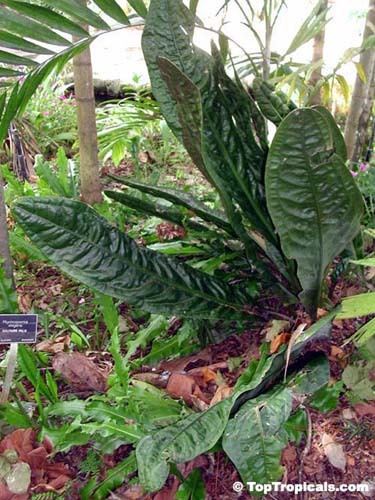 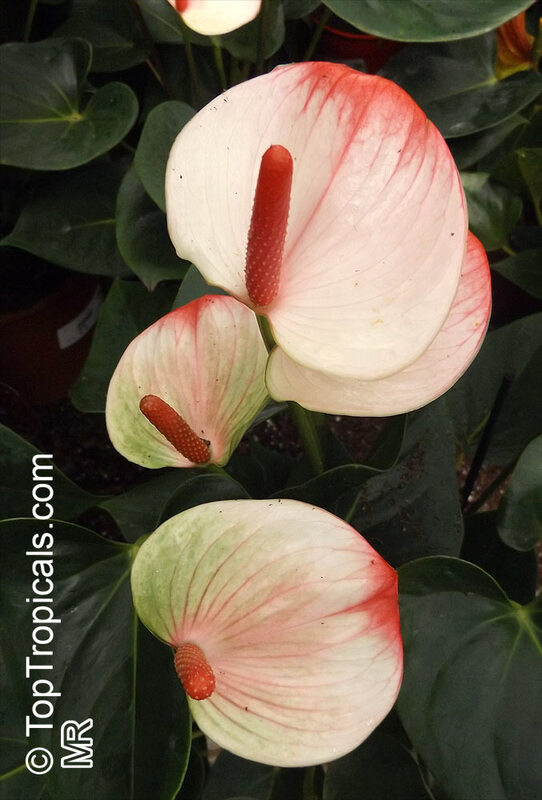 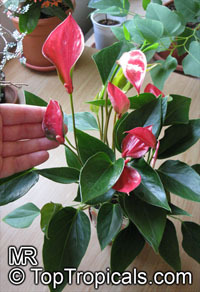 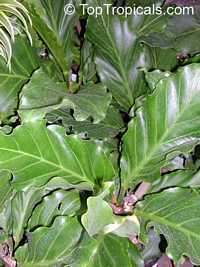 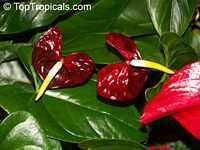 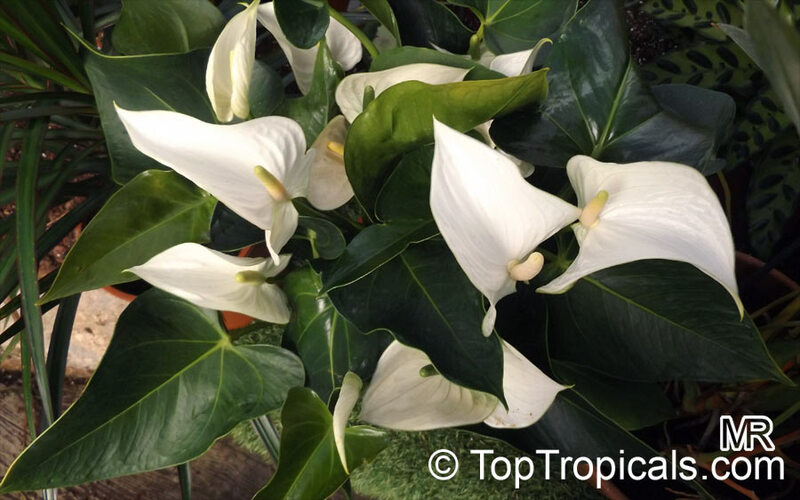 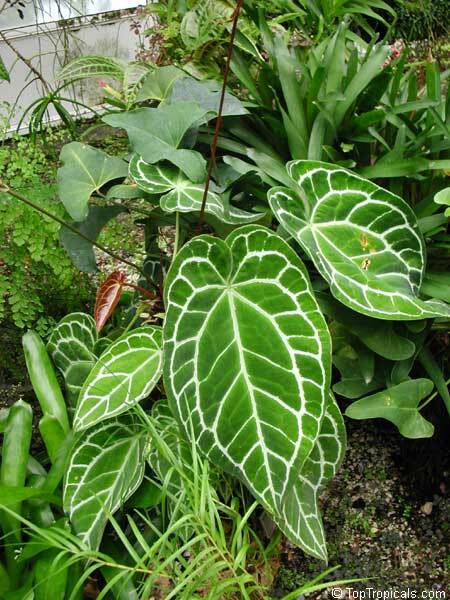 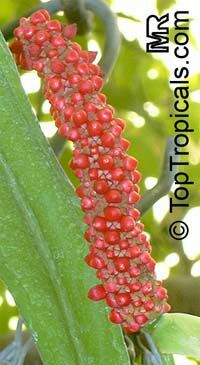 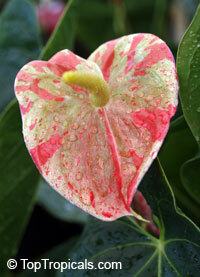 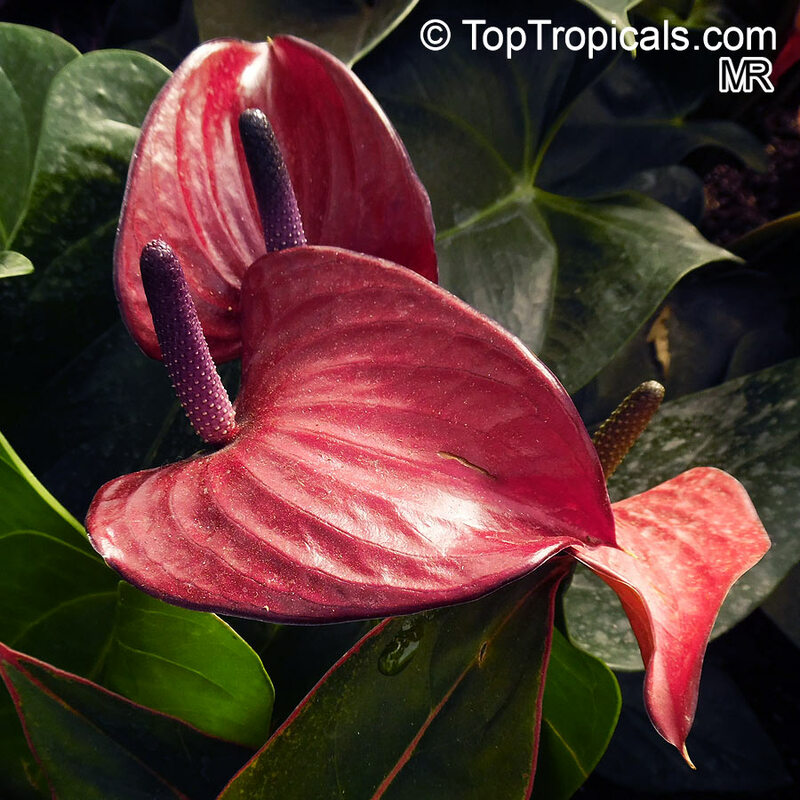 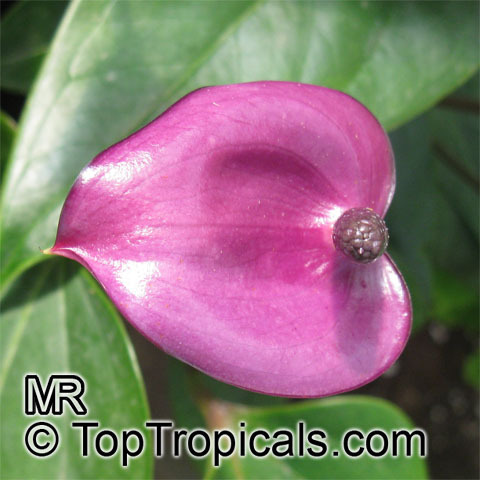 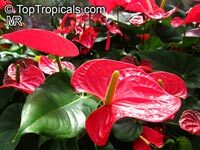 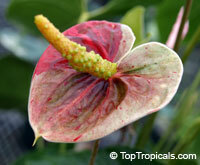 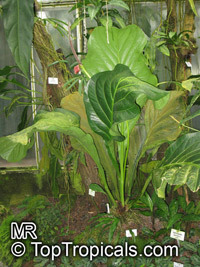 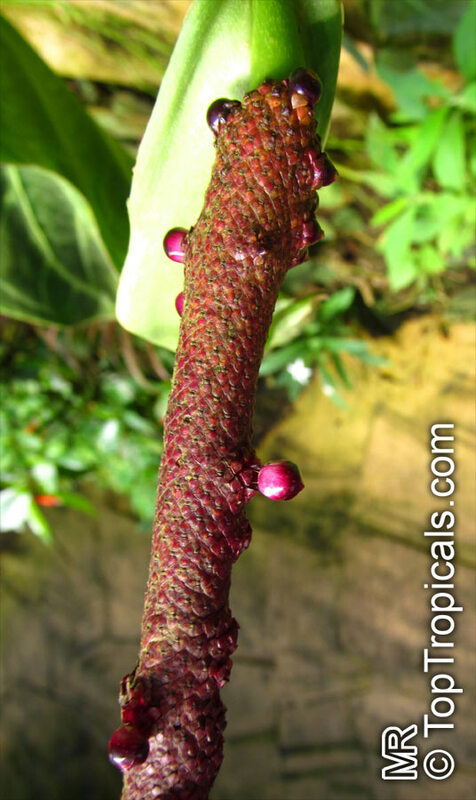 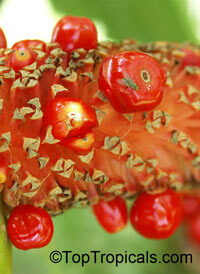 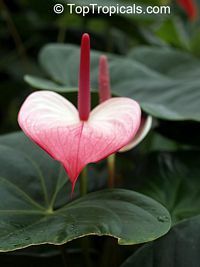 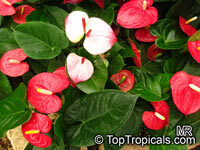 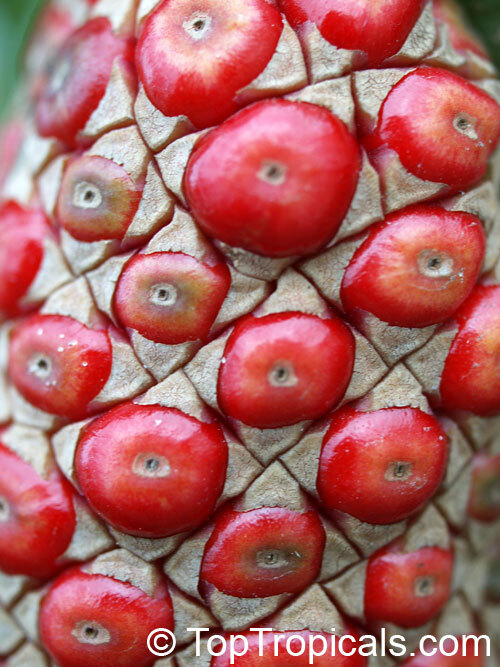 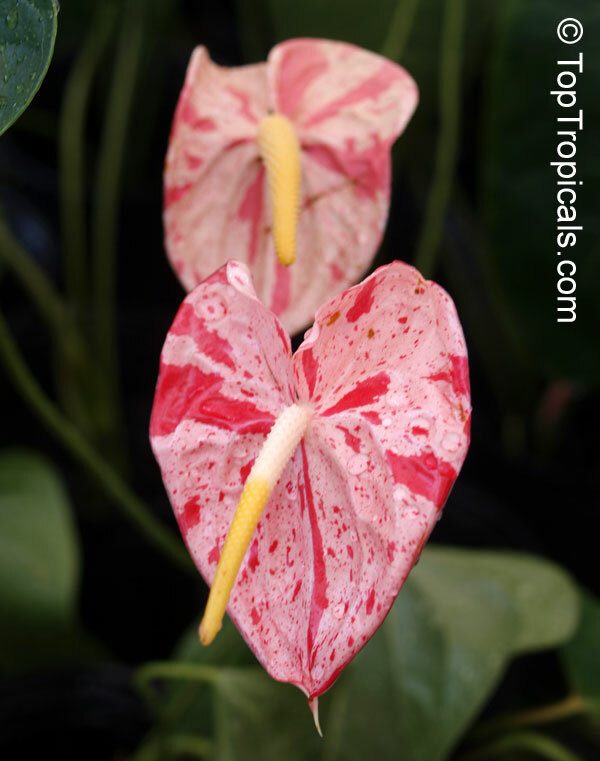 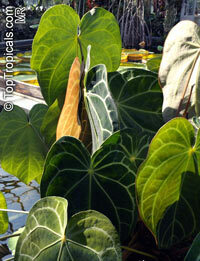 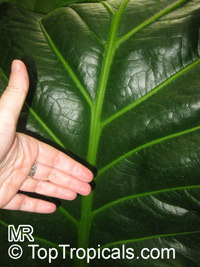 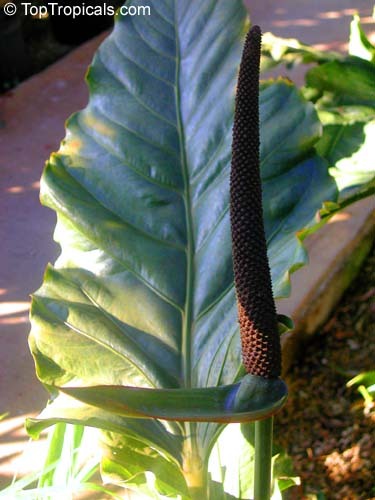 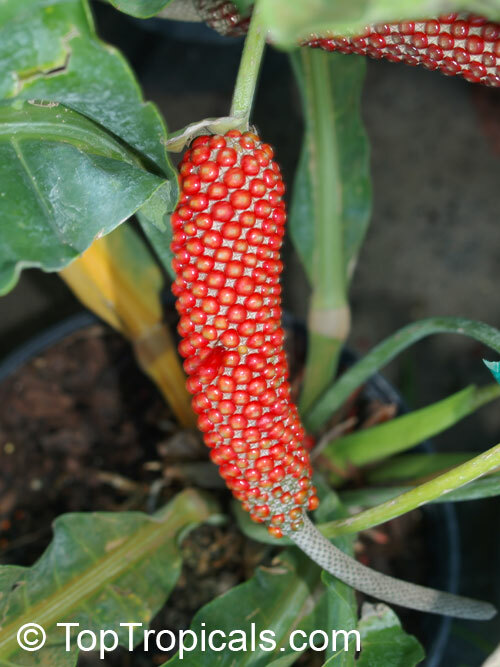 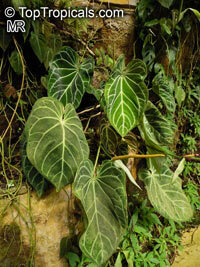 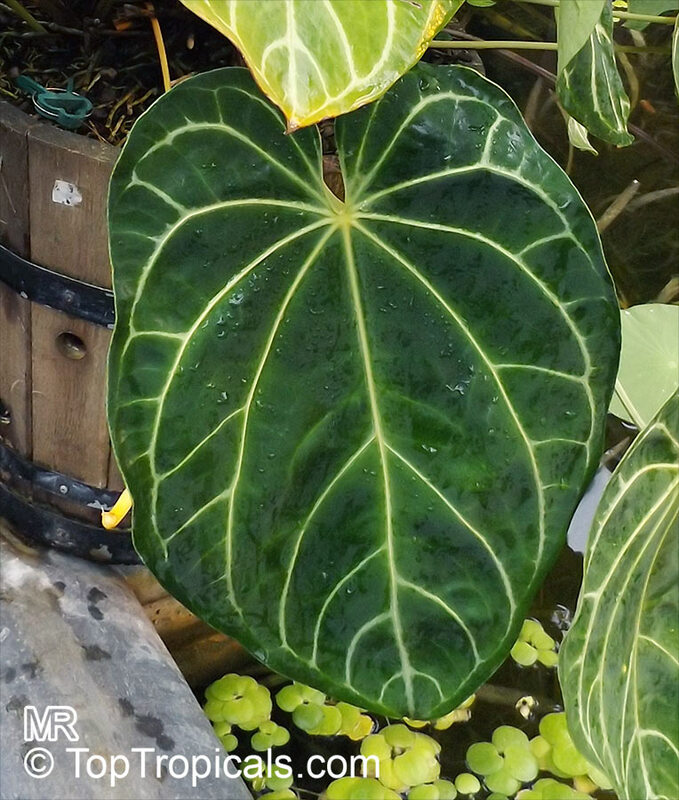 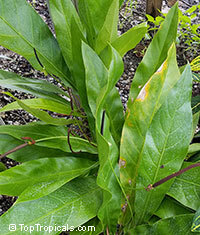 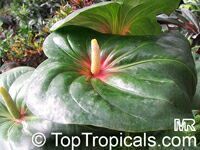 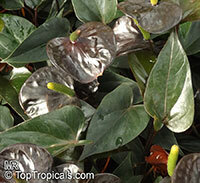 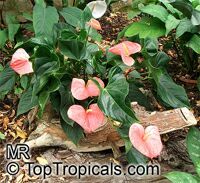 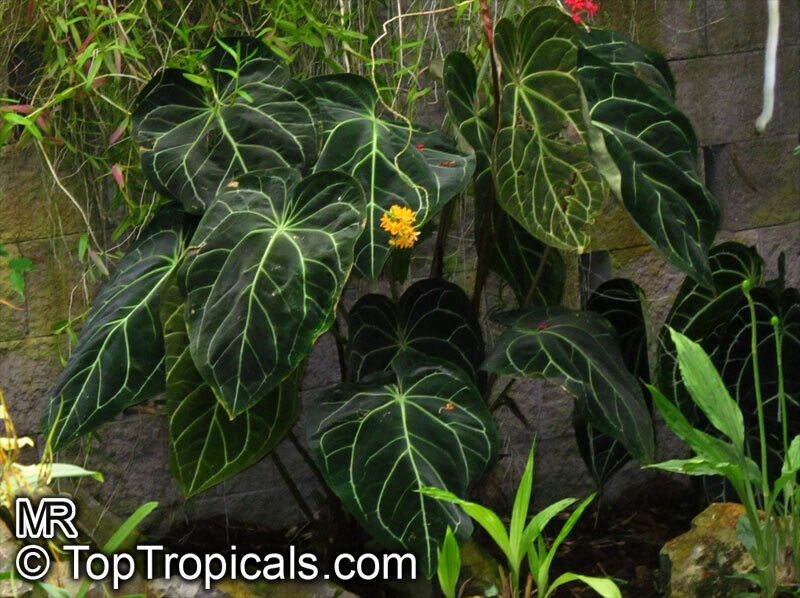 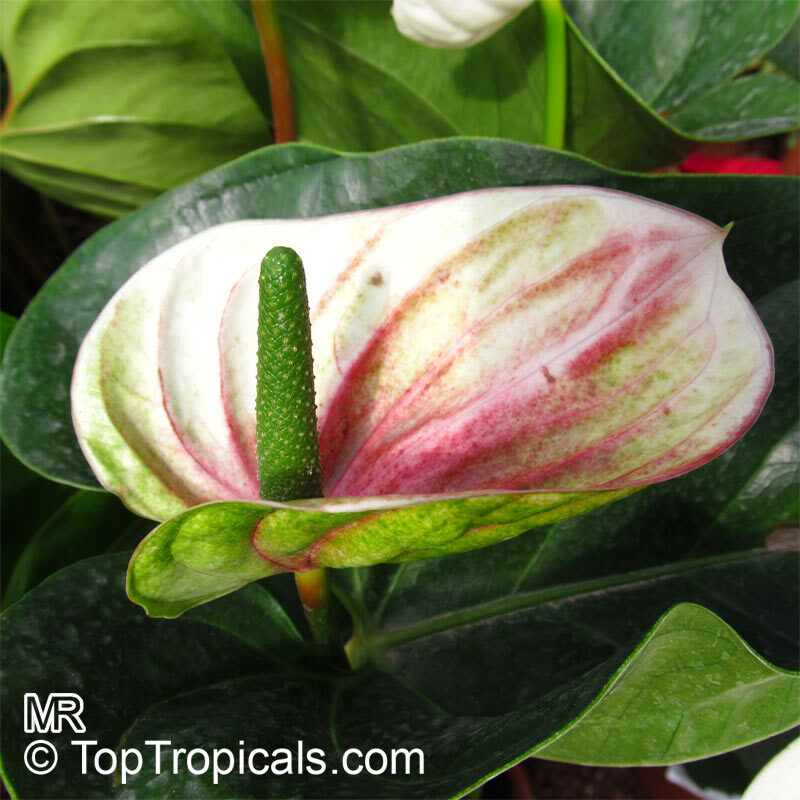 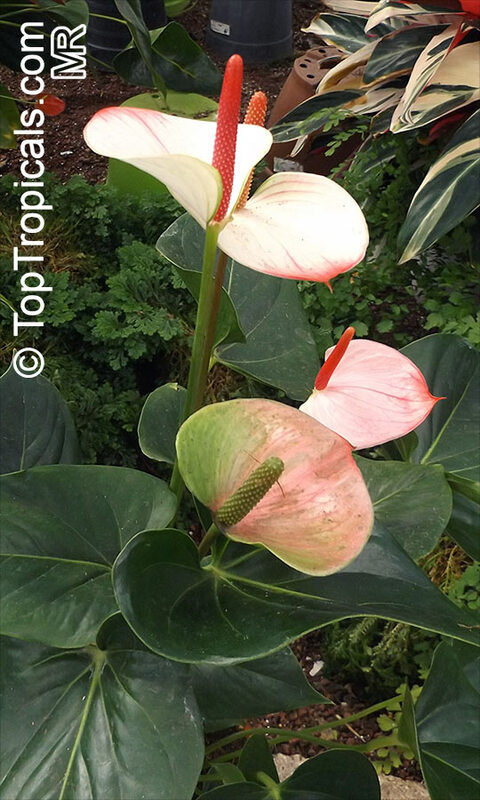 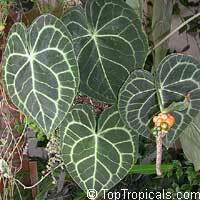 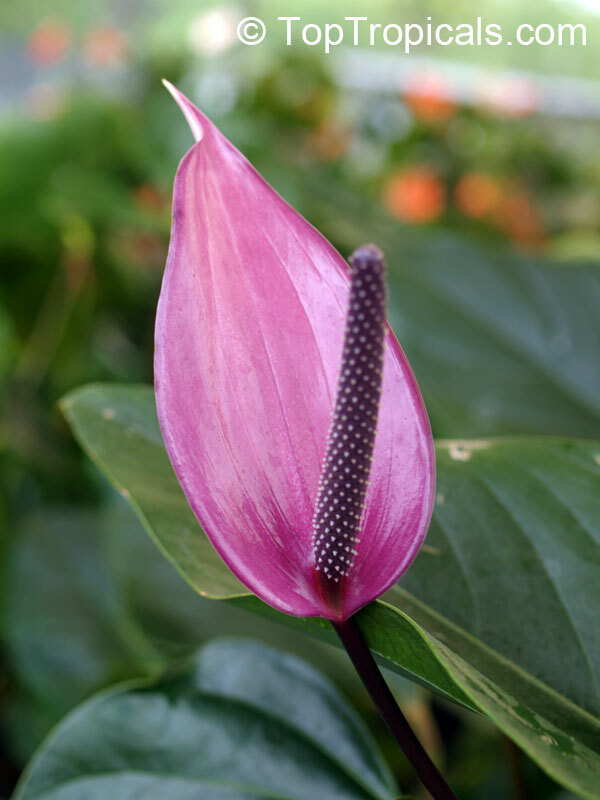 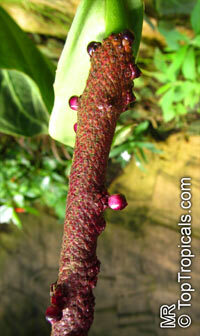 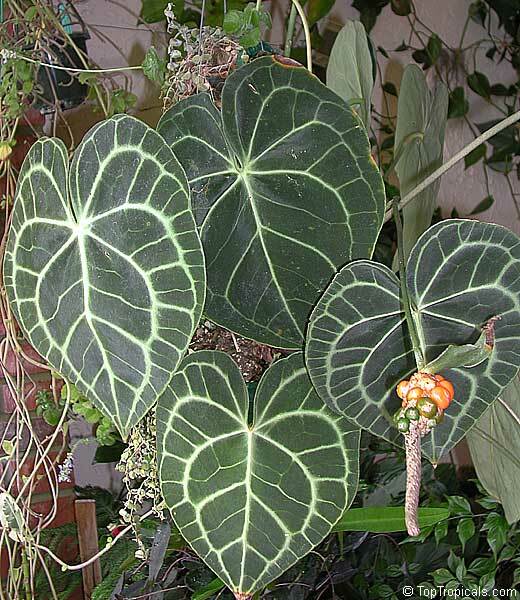 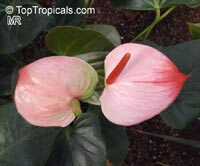 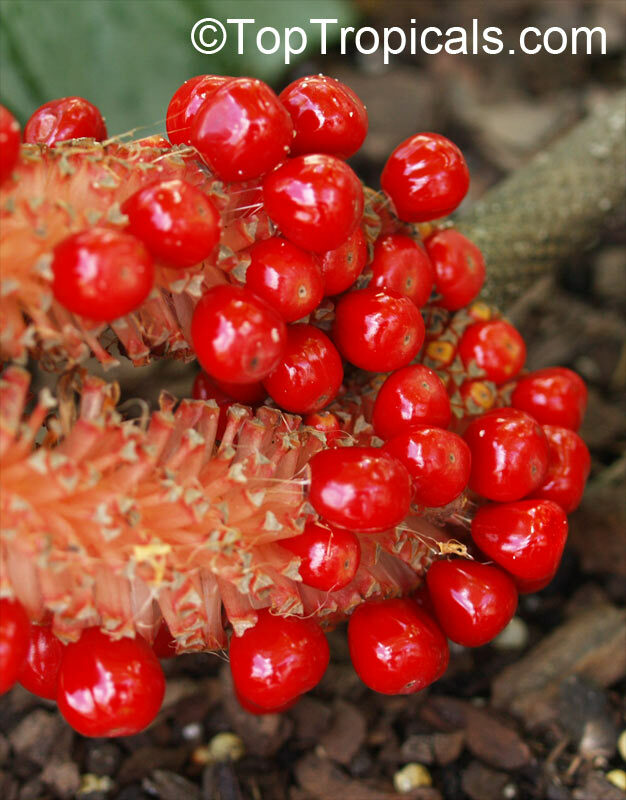 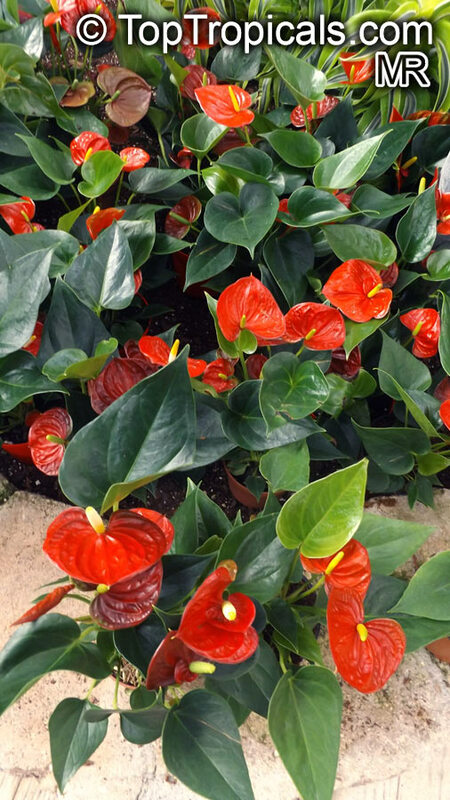 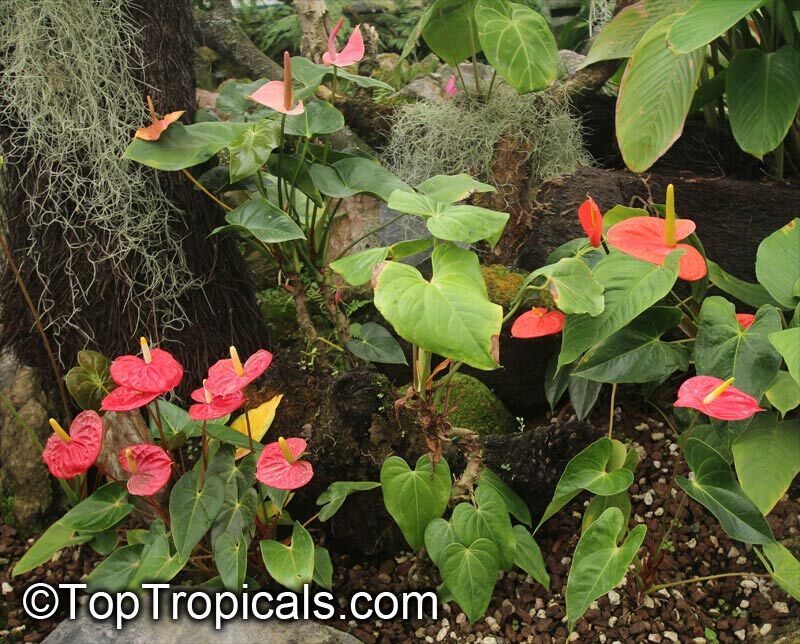 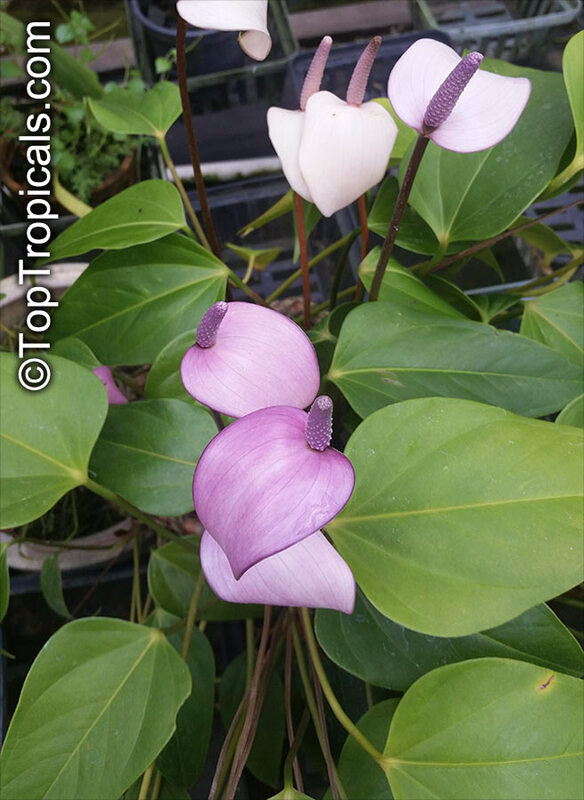 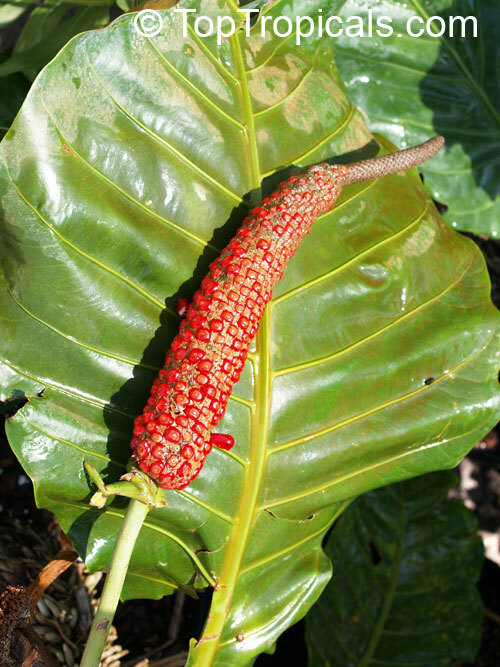 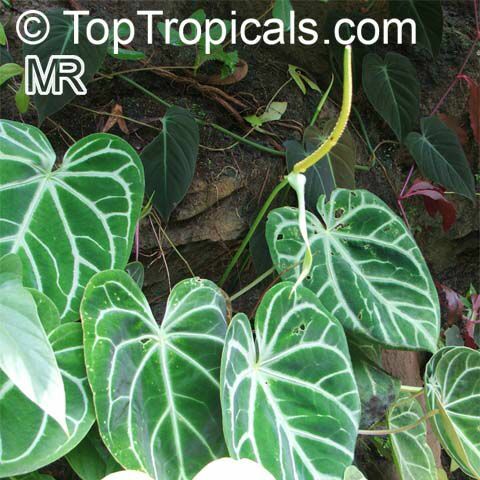 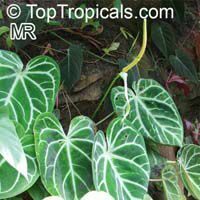 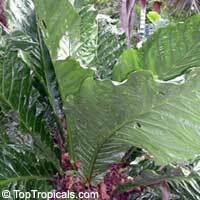 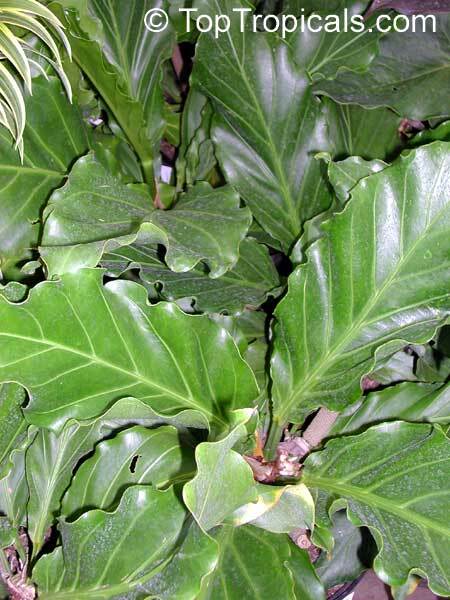 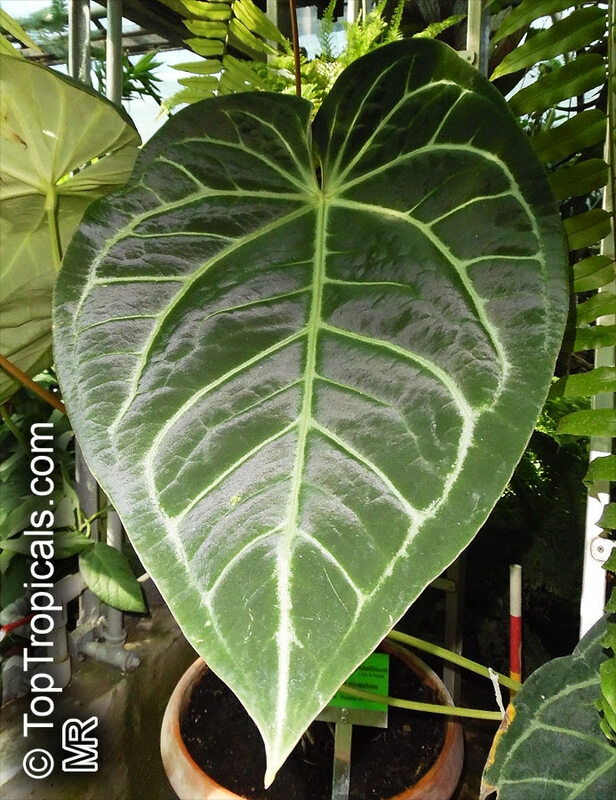 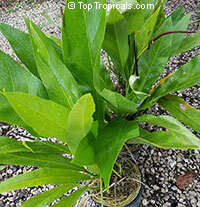 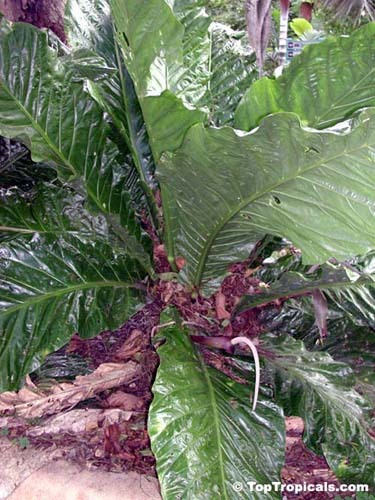 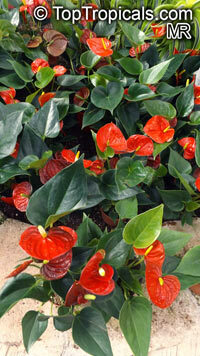 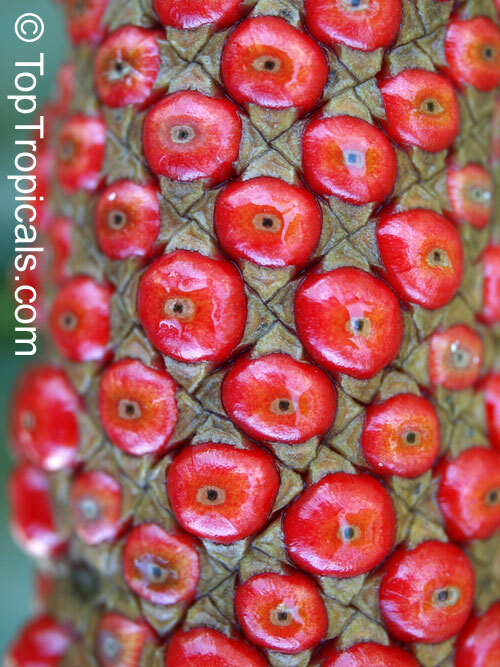 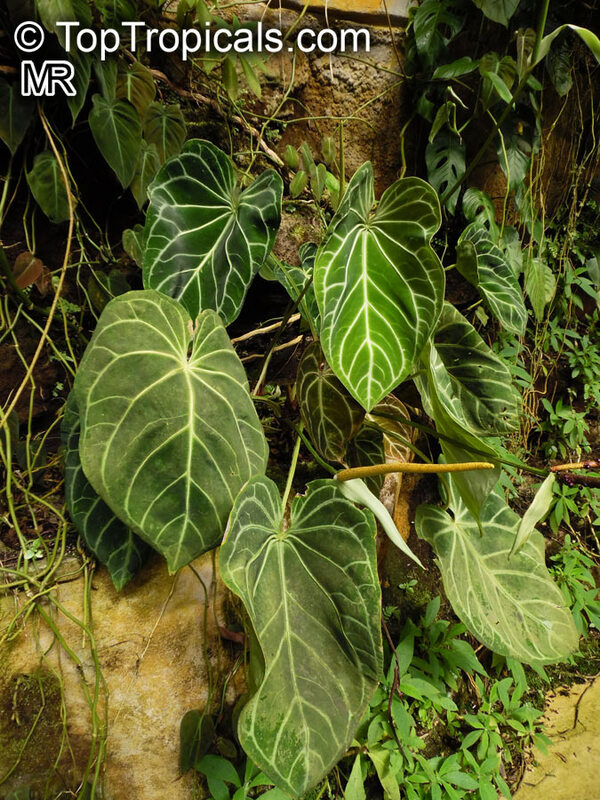 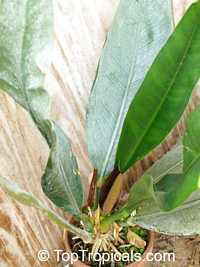 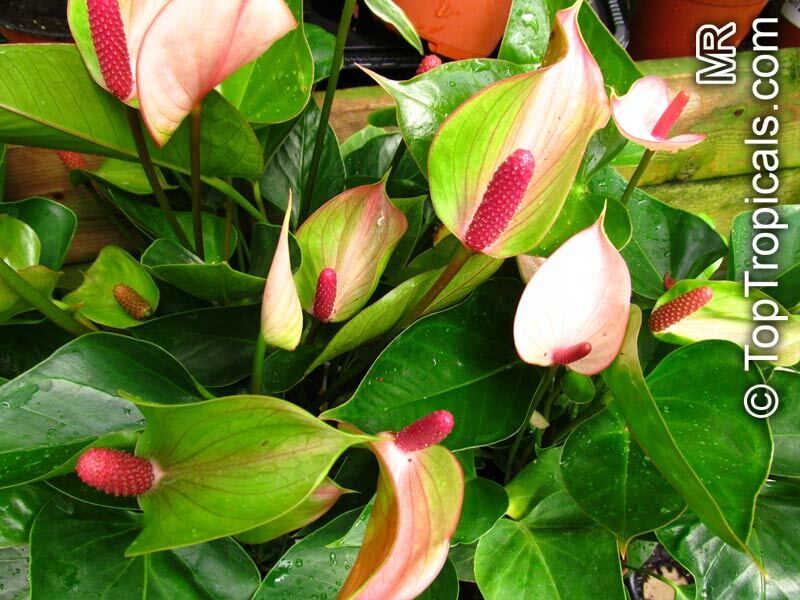 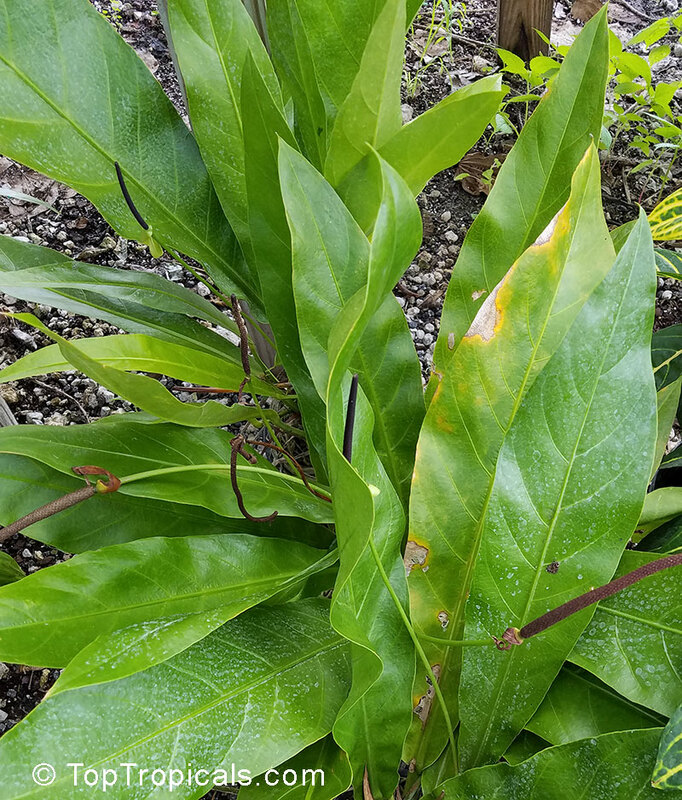 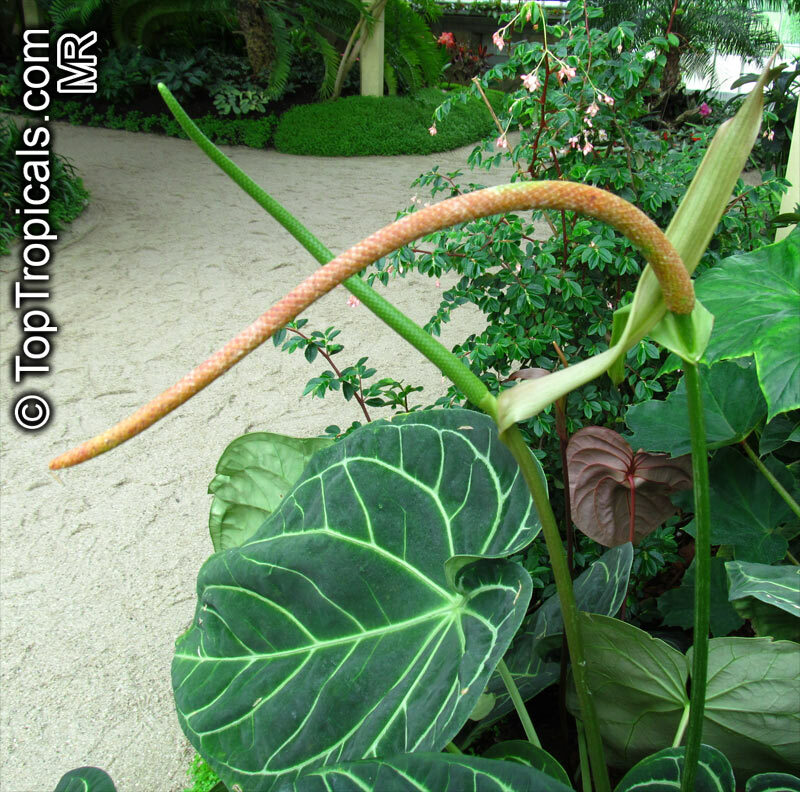 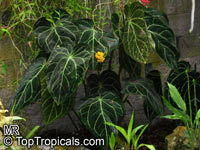 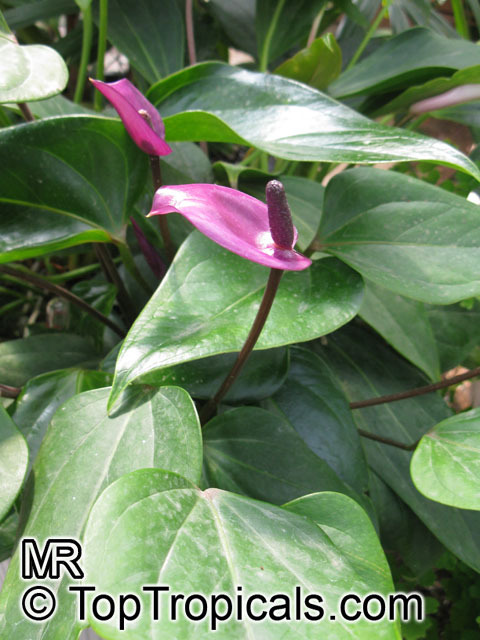 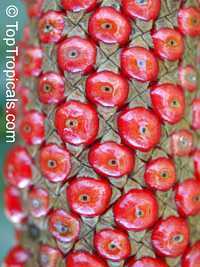 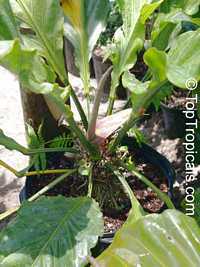 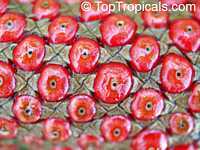 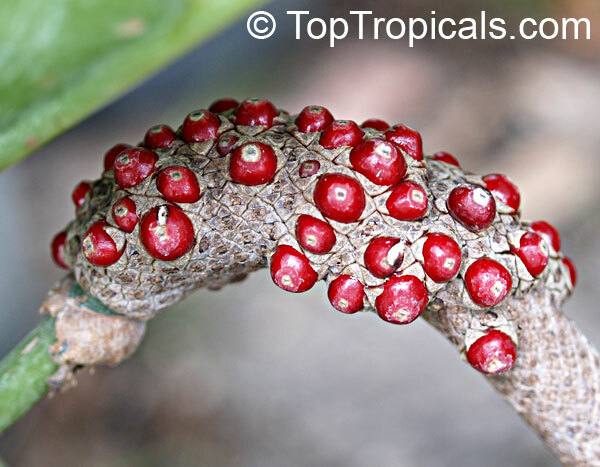 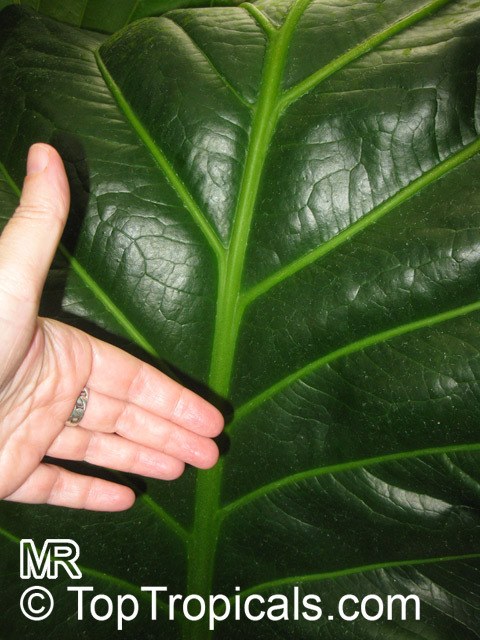 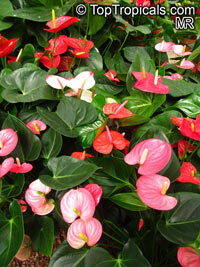 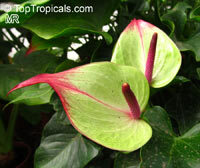 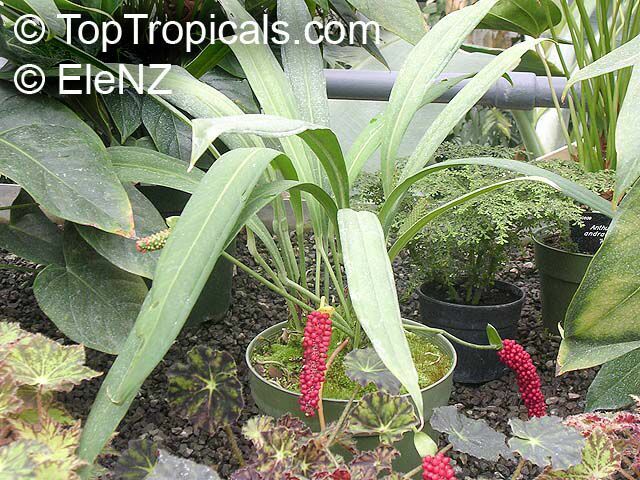 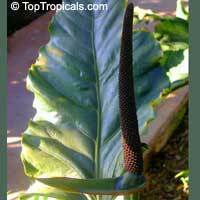 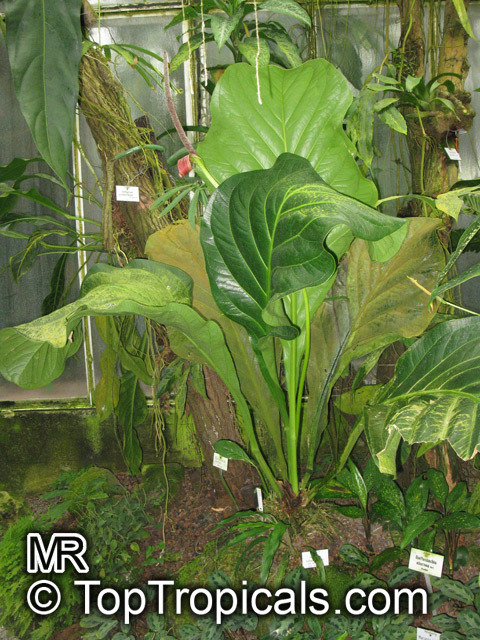 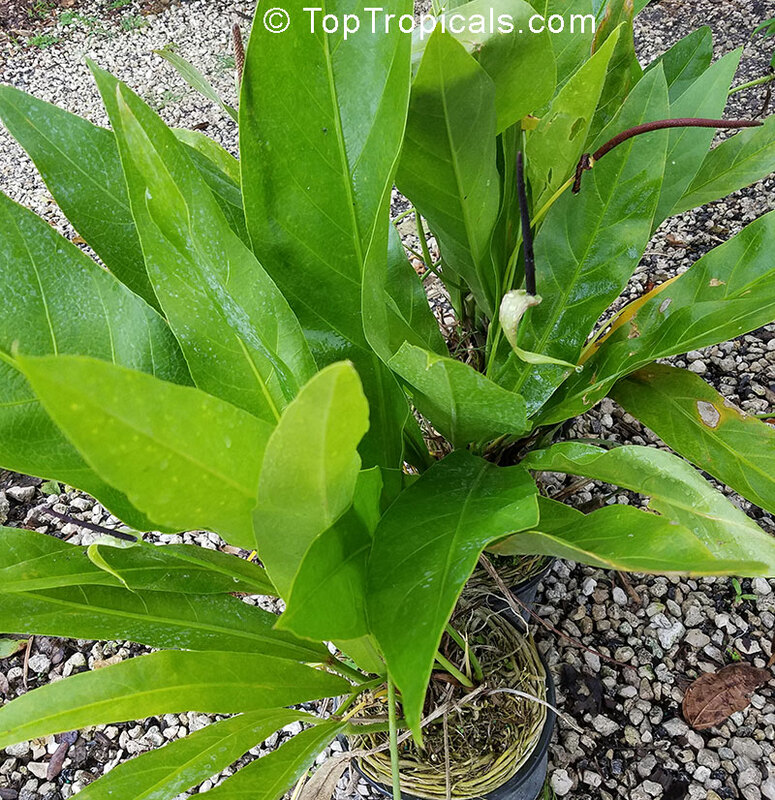 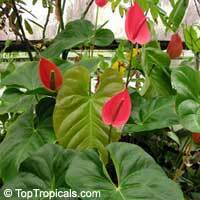 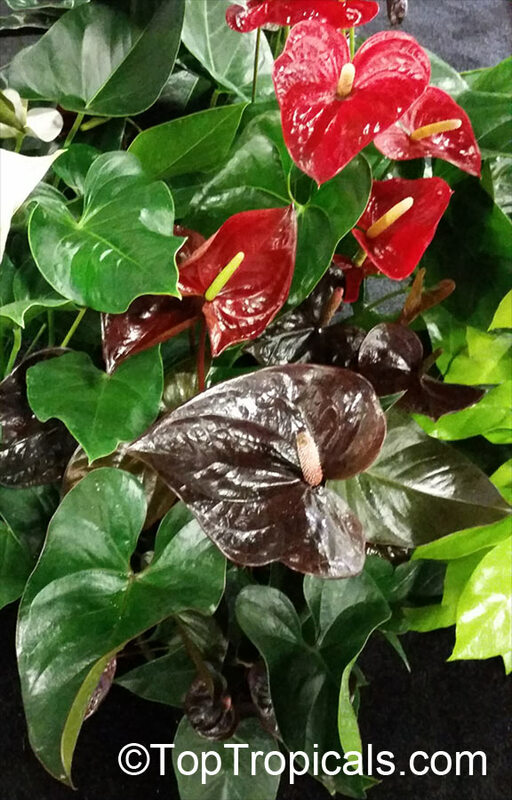 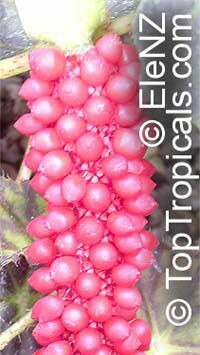 This anthurium has dramatic white or light green veins contrasting with dark green foliage. 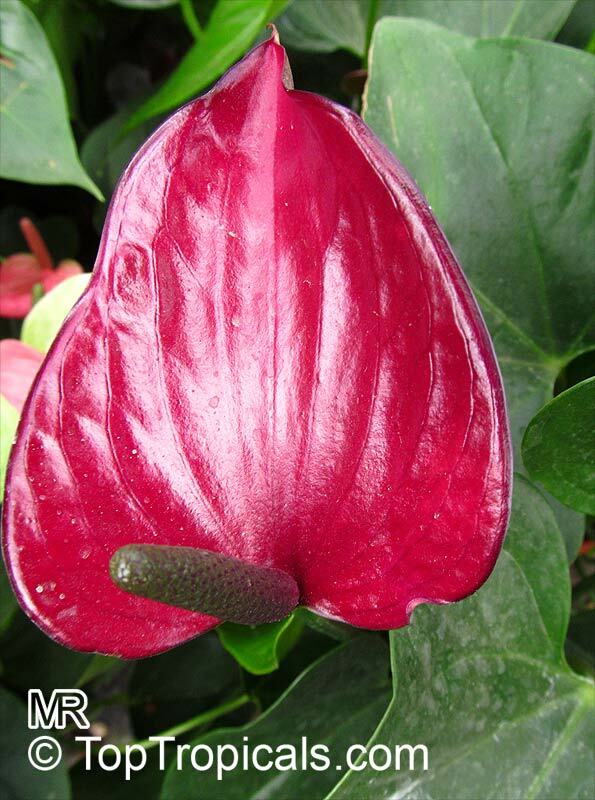 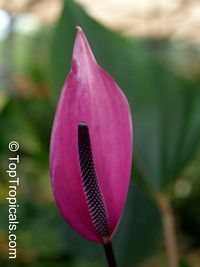 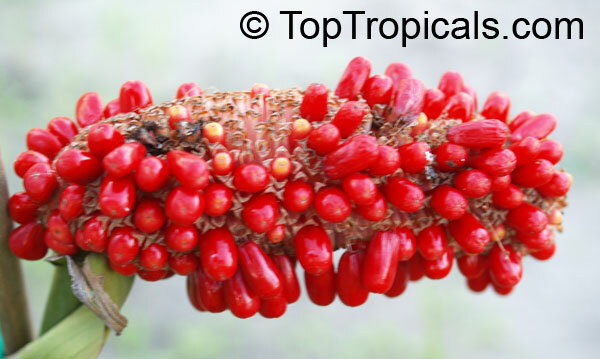 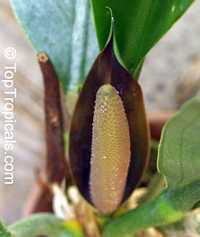 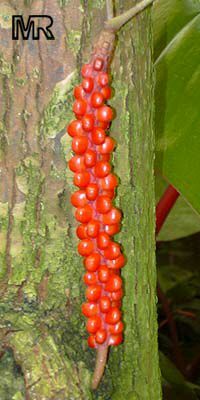 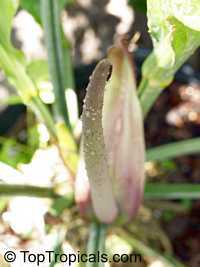 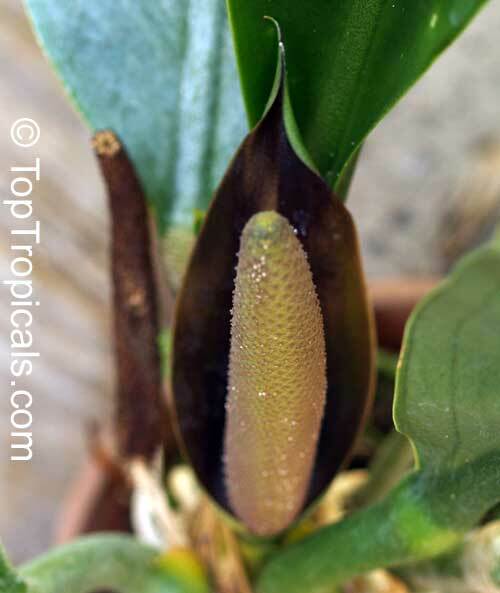 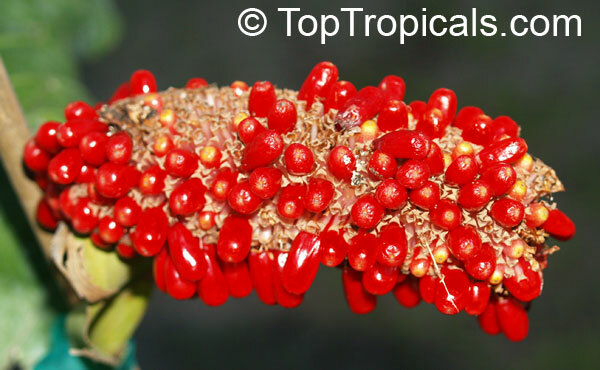 Flower spathes are light green with a reddish tinge. 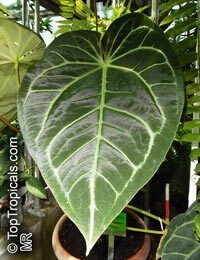 Likes partial shade or light shade. 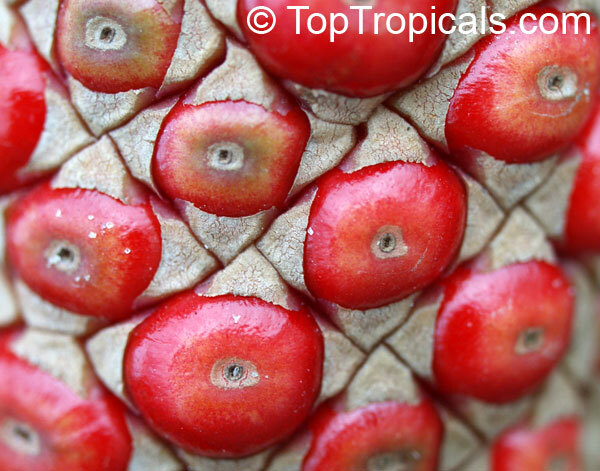 In winter, temperatures of not less than 65 degrees Fahrenheit are preferred. 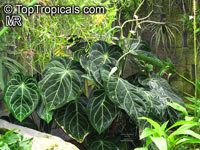 Likes a warm and humid atmosphere, so misting is beneficial. 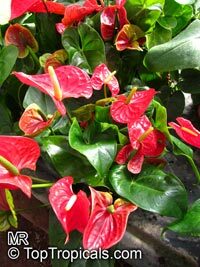 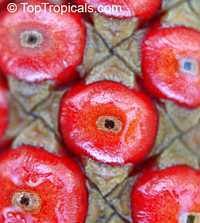 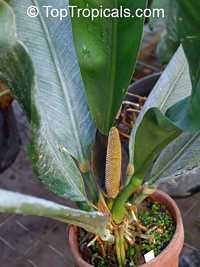 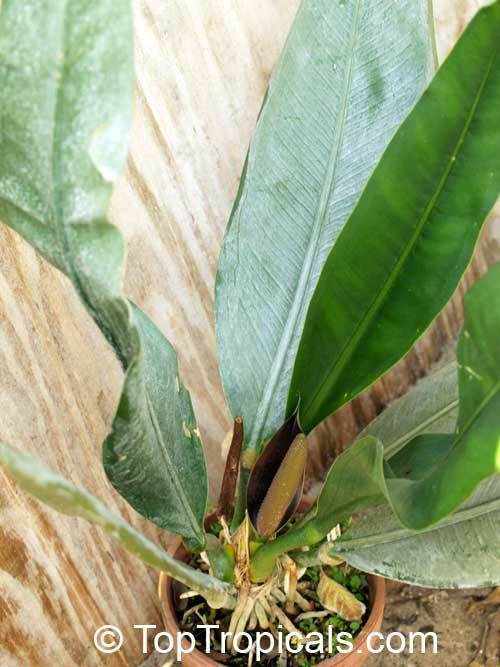 Reduce watering in the winter.